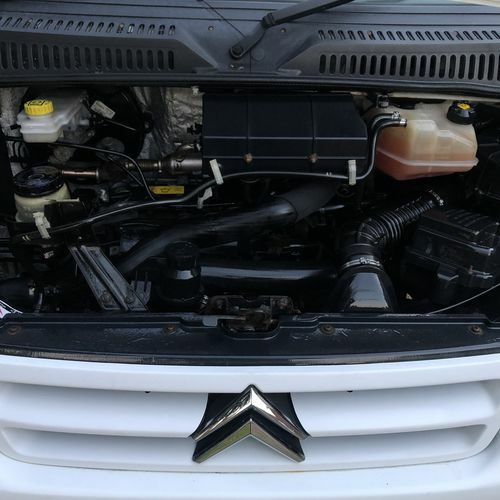 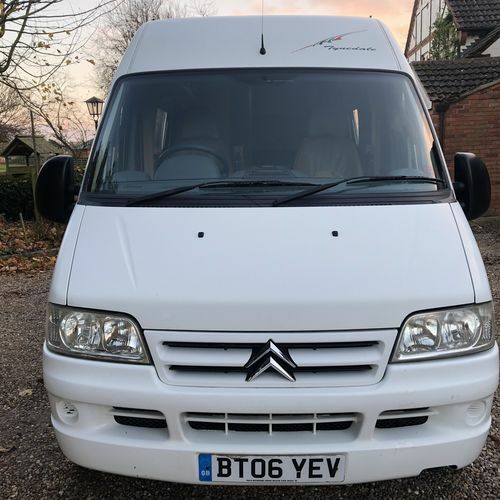 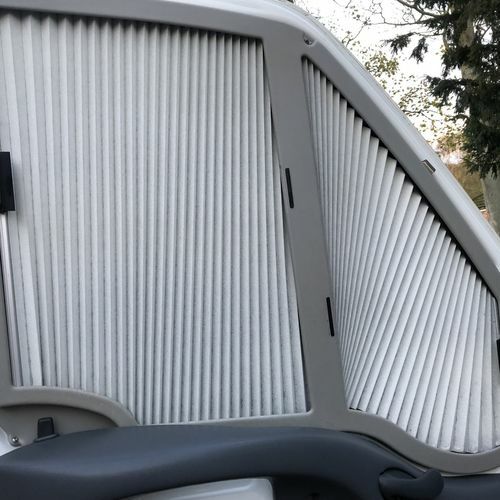 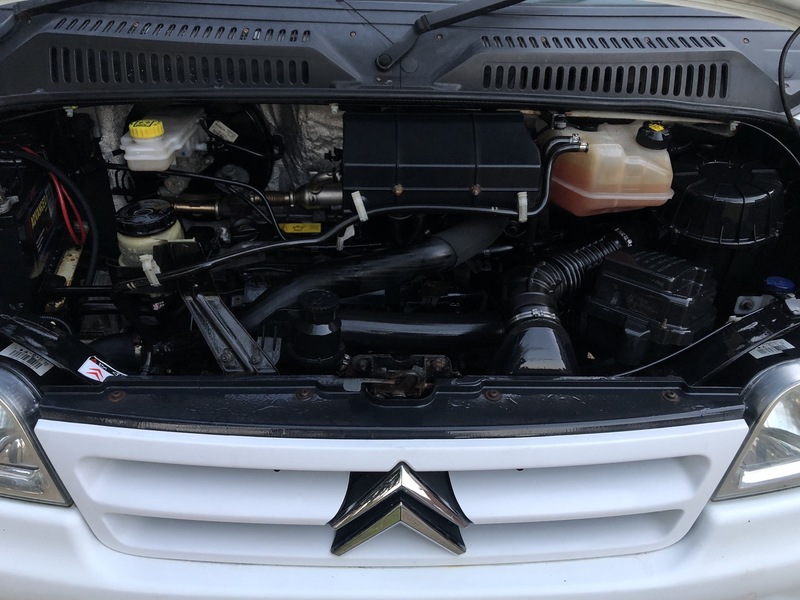 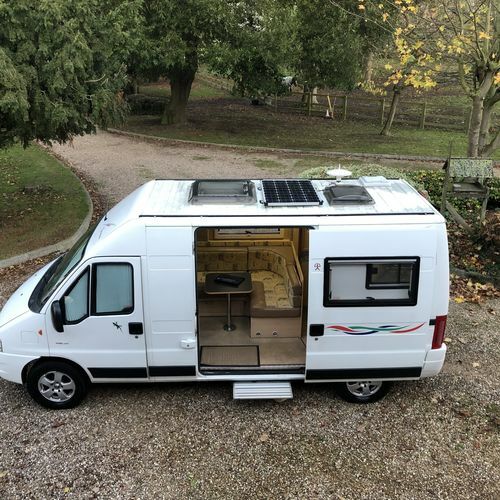 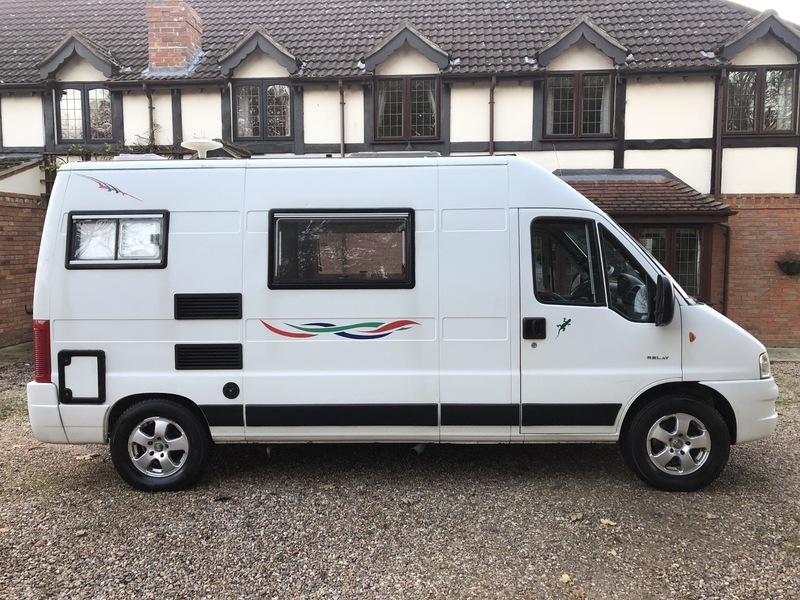 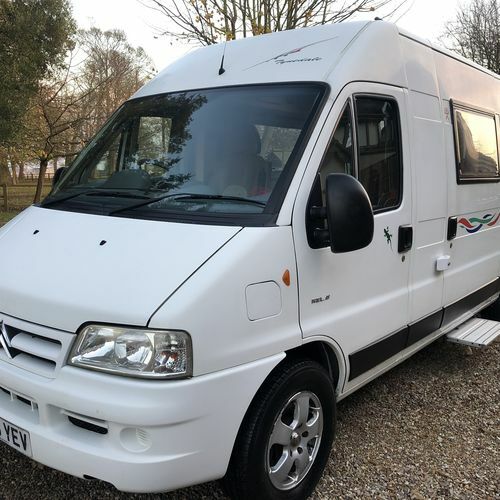 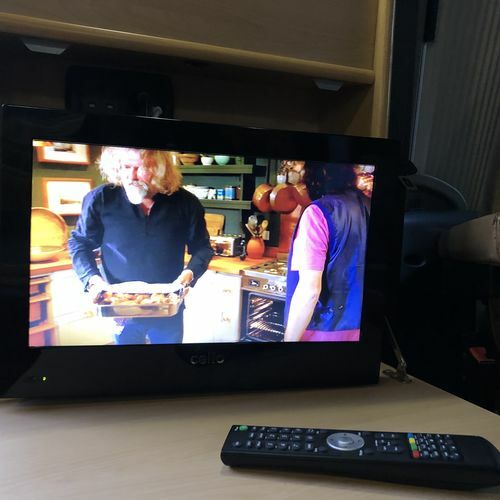 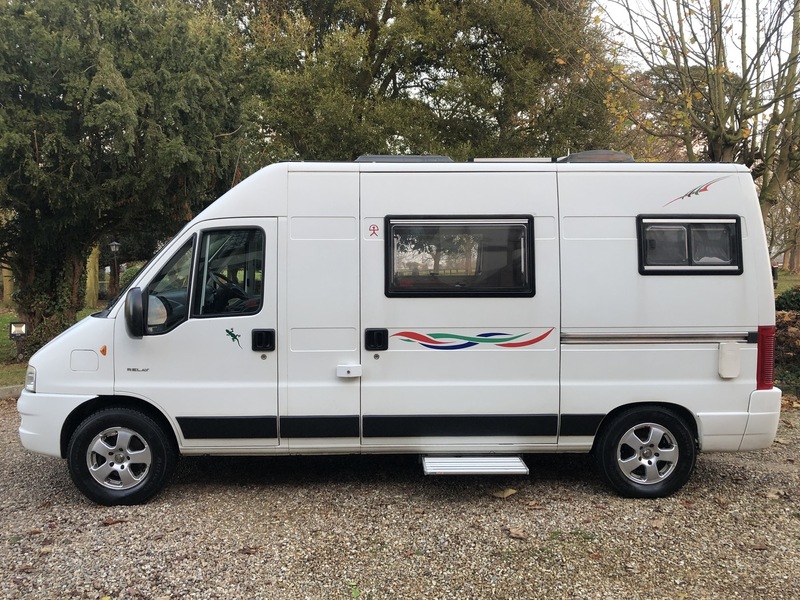 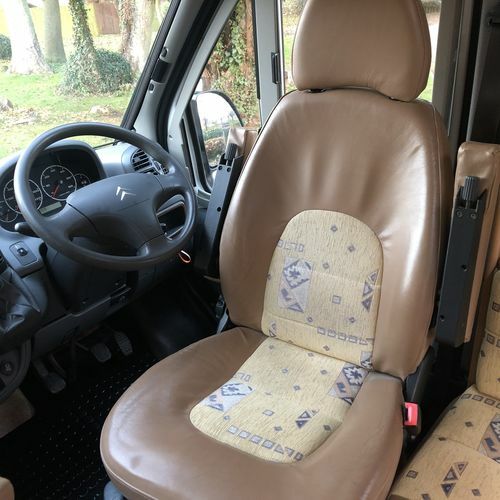 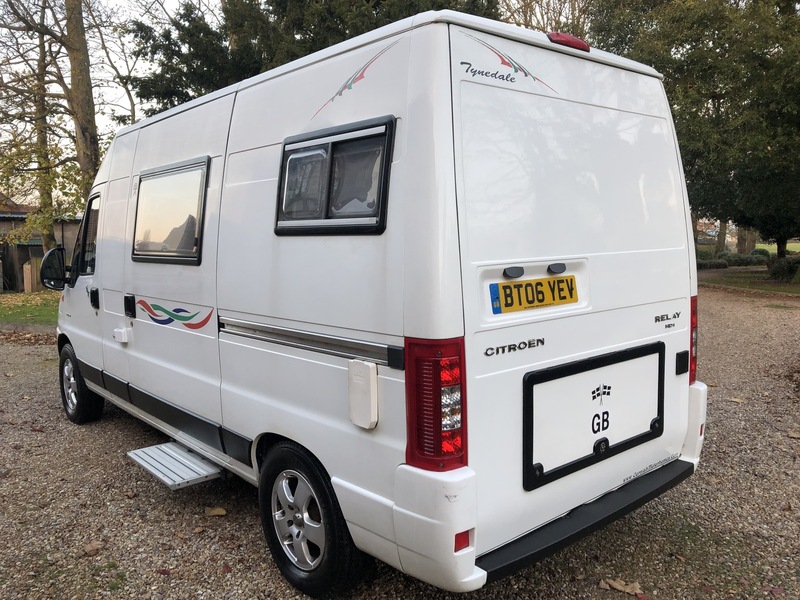 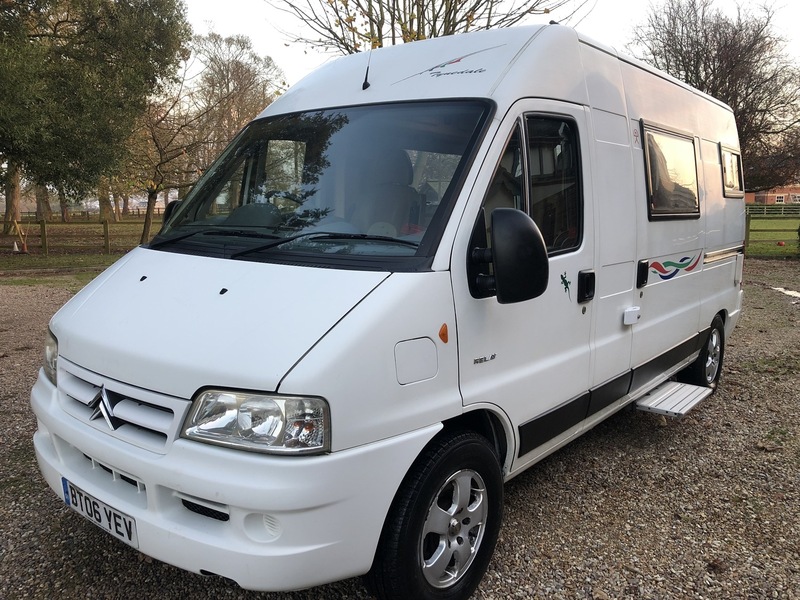 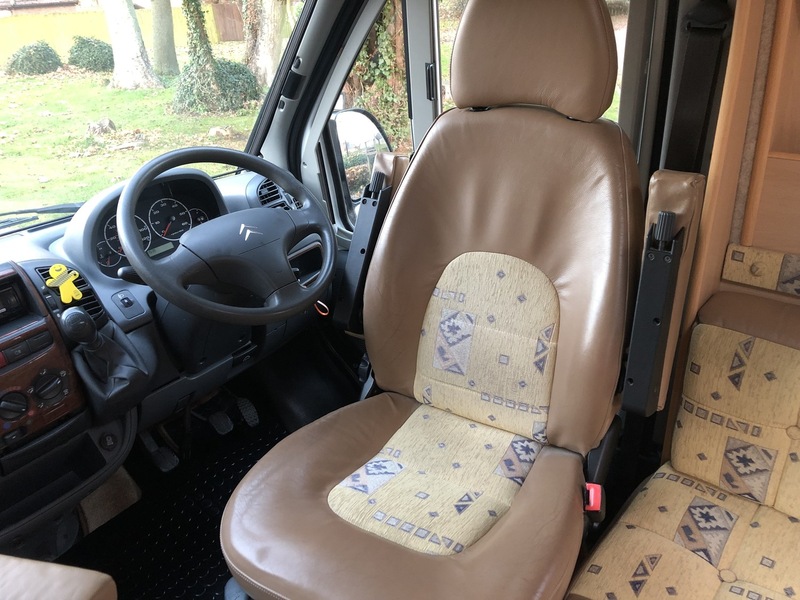 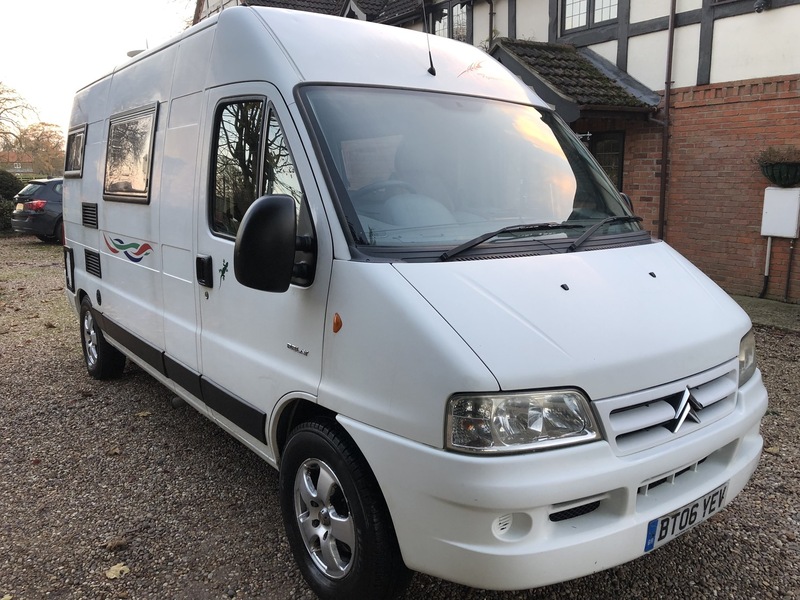 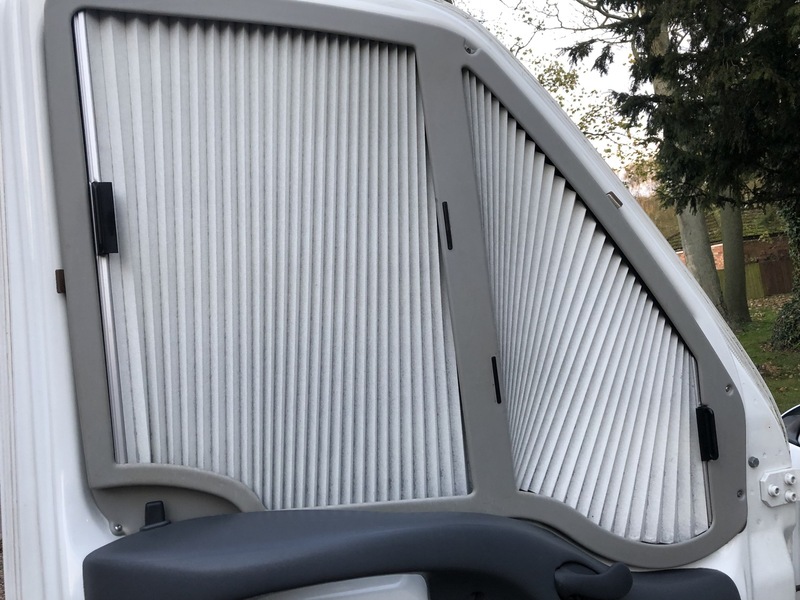 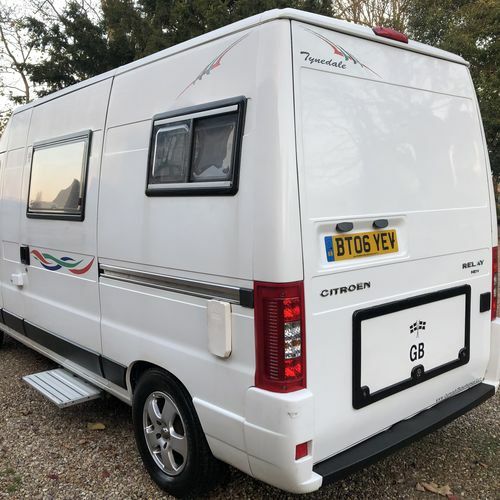 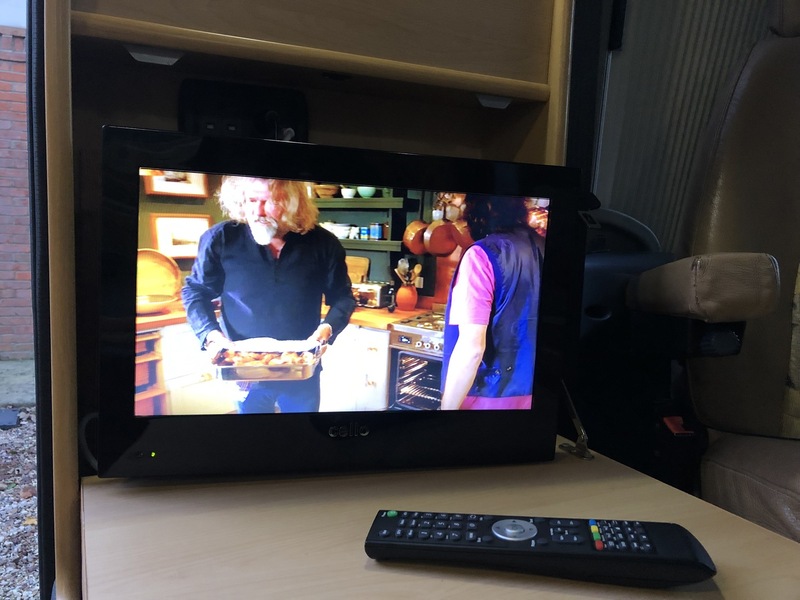 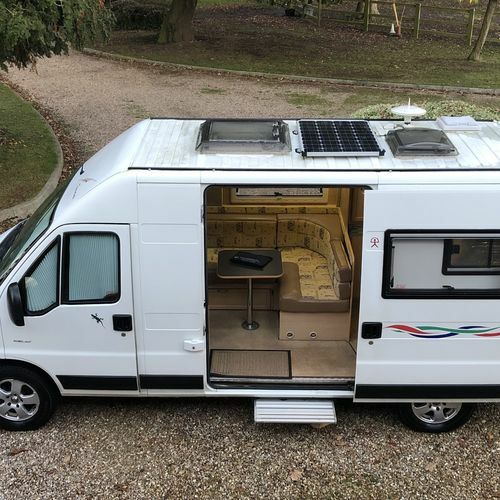 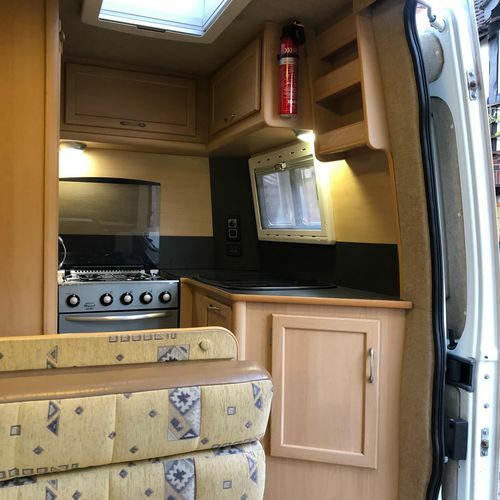 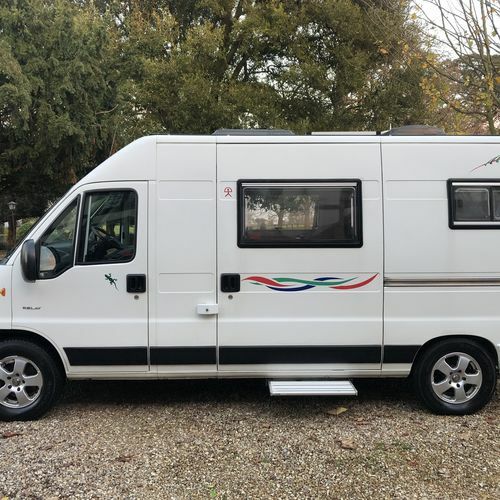 Professional conversion at under 1800 miles this Citroen has been a camper van from almost new, and what a stunning conversion it is! 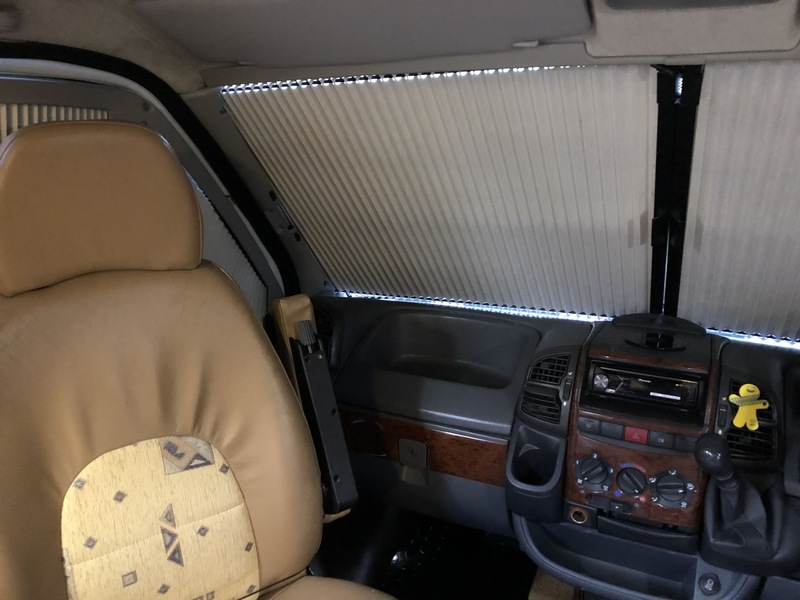 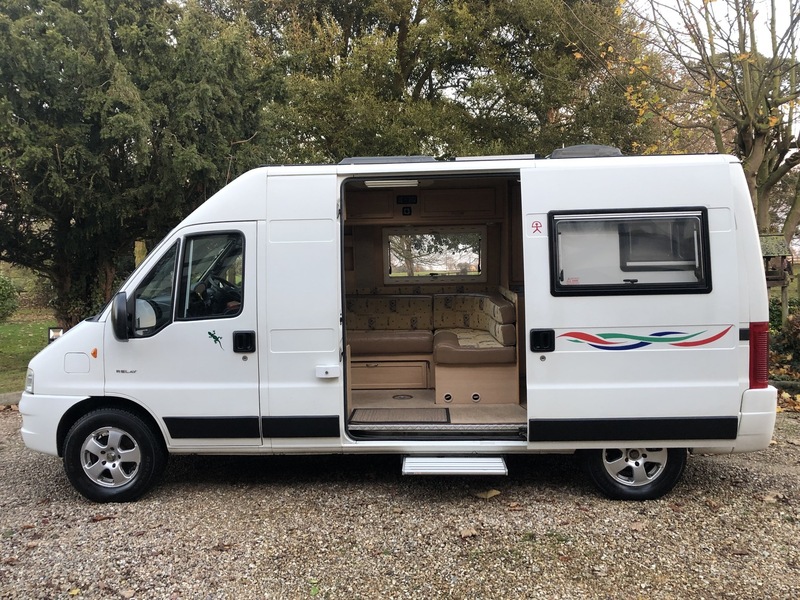 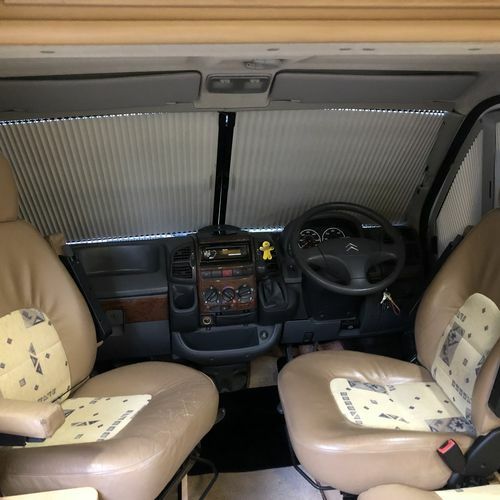 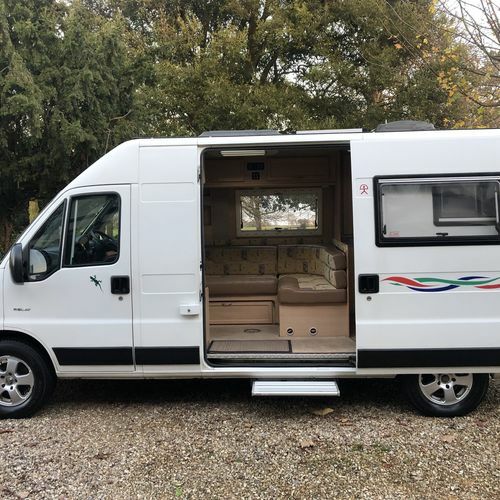 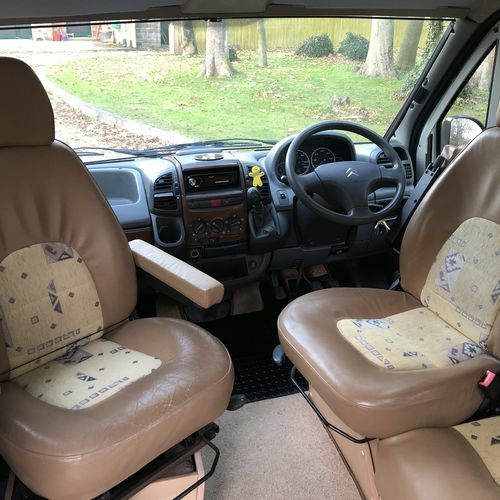 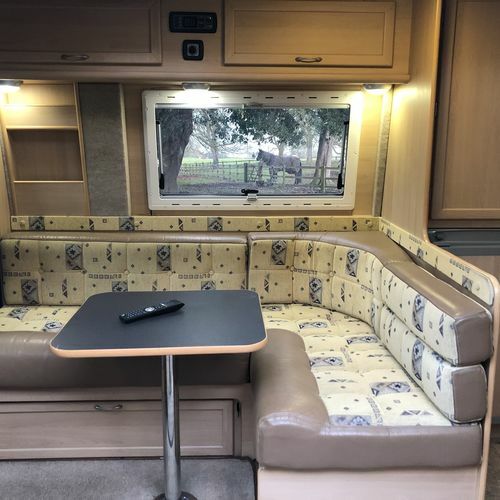 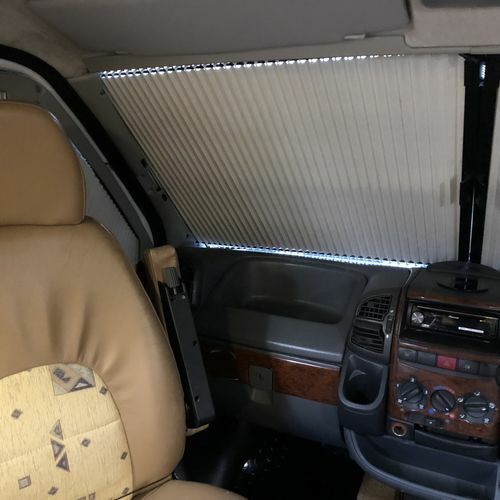 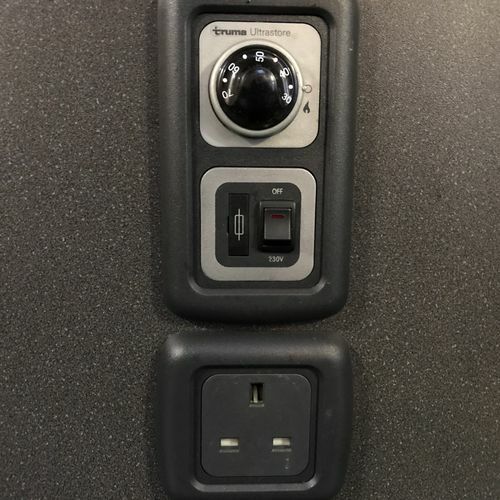 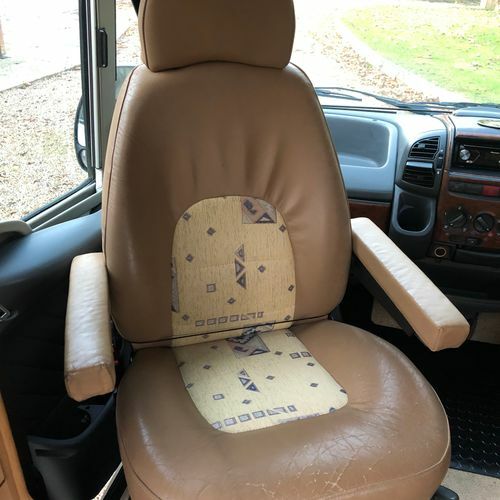 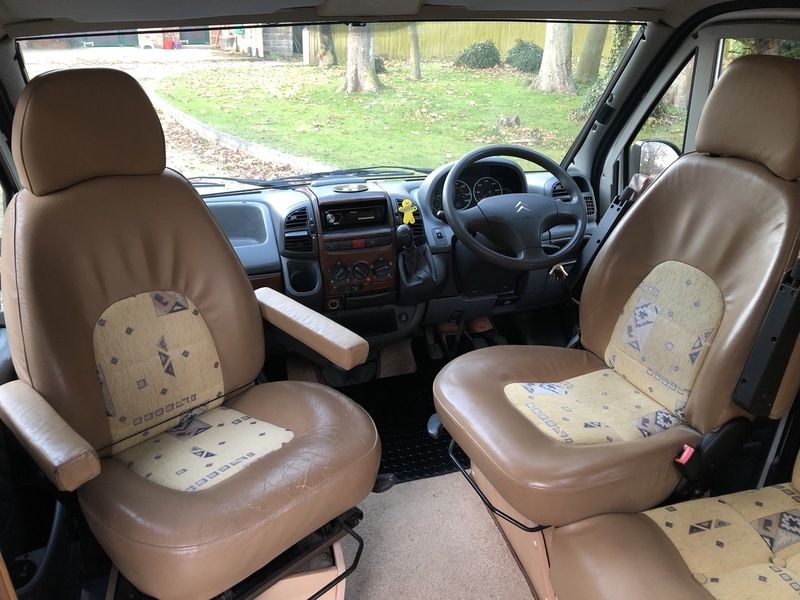 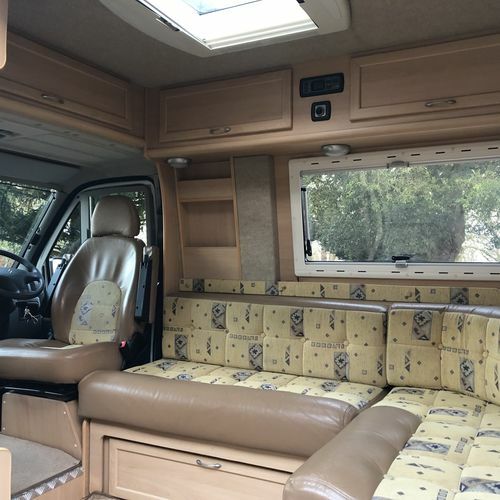 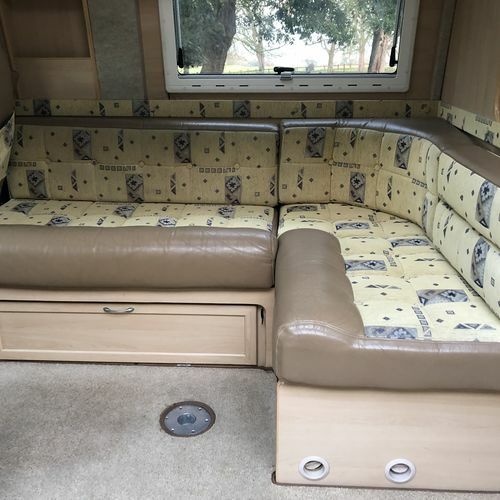 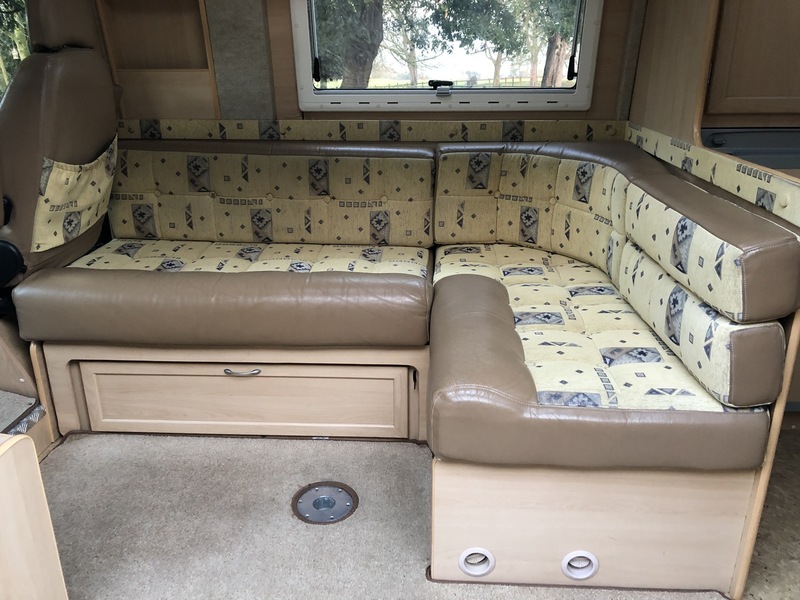 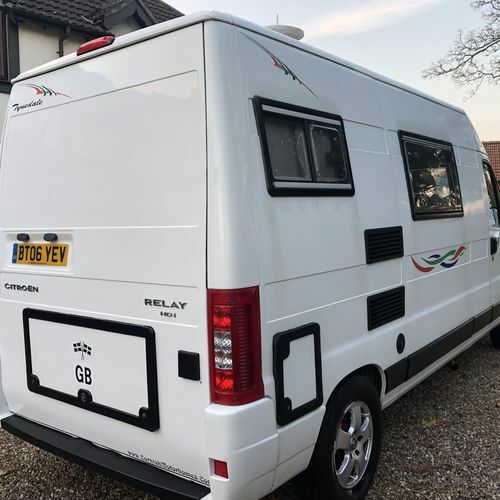 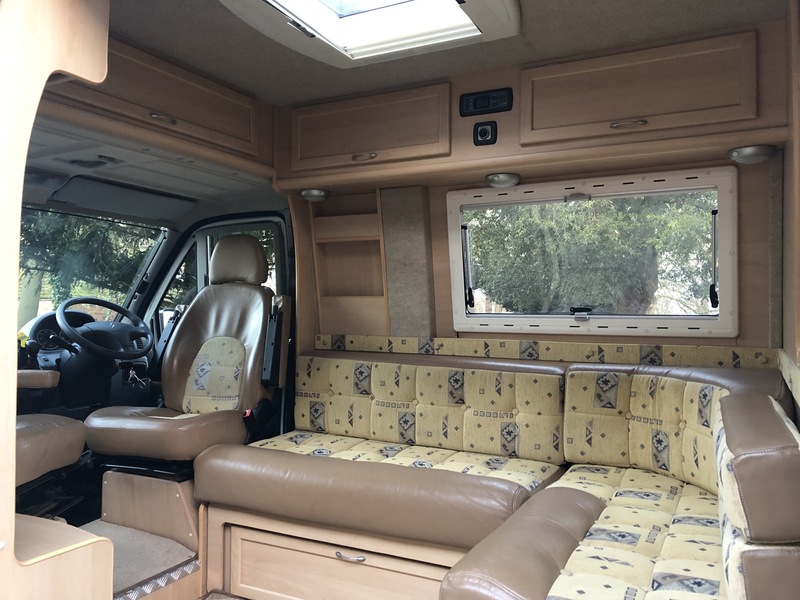 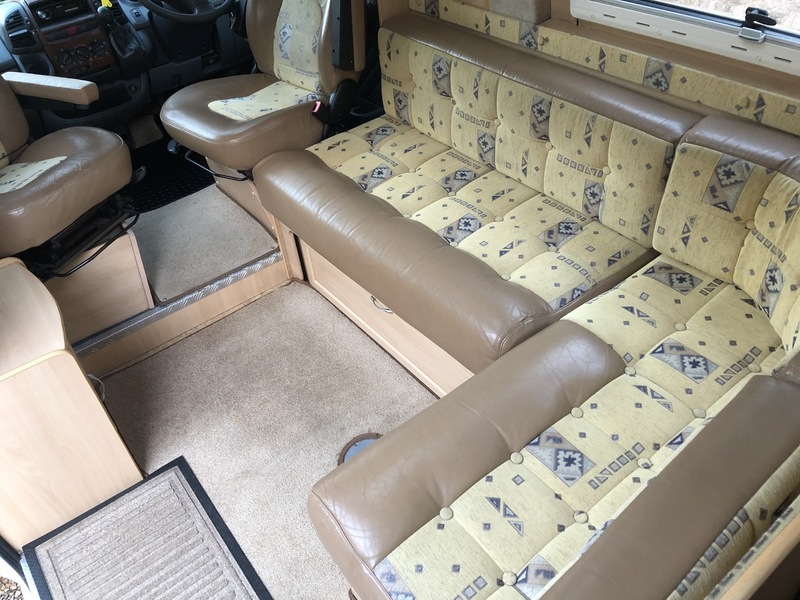 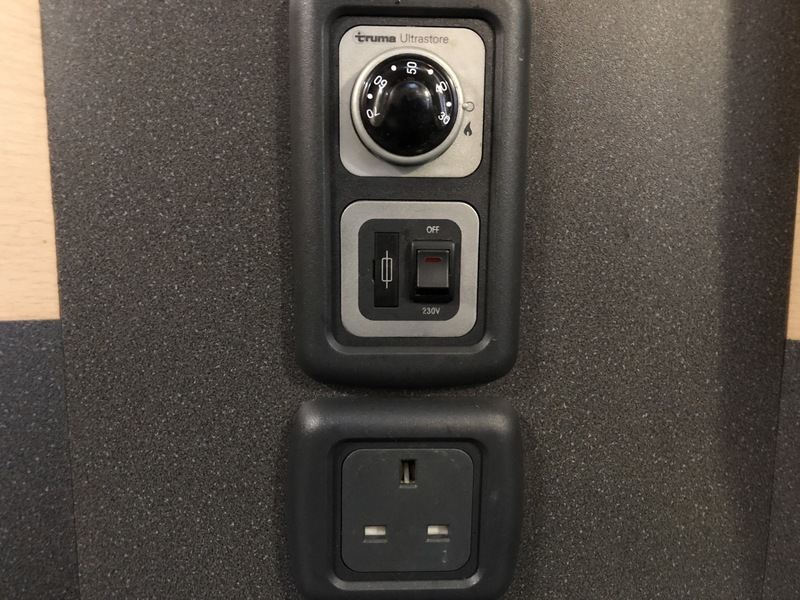 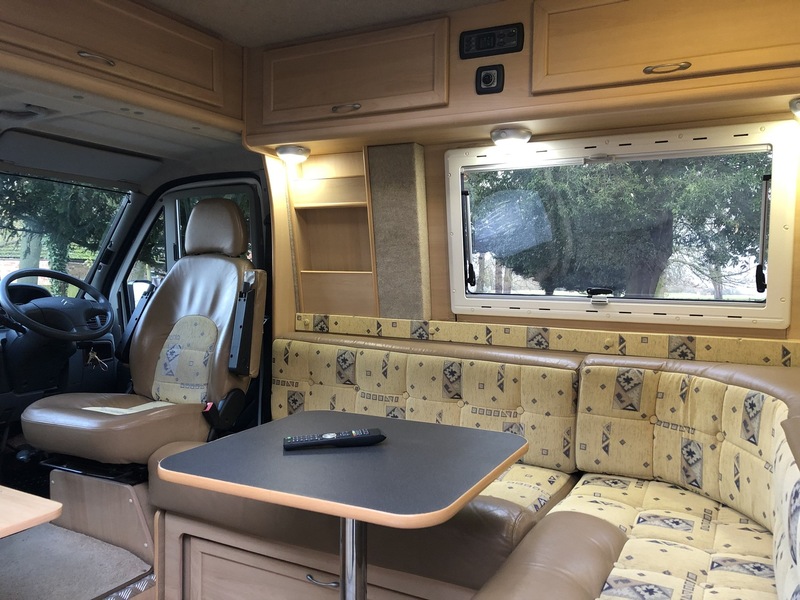 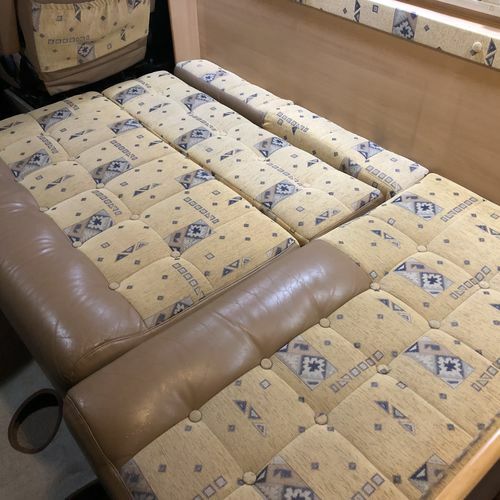 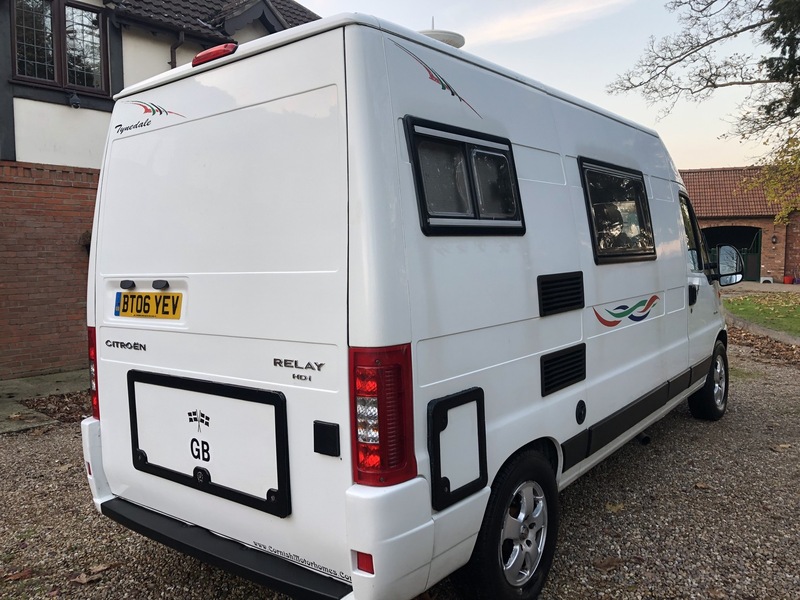 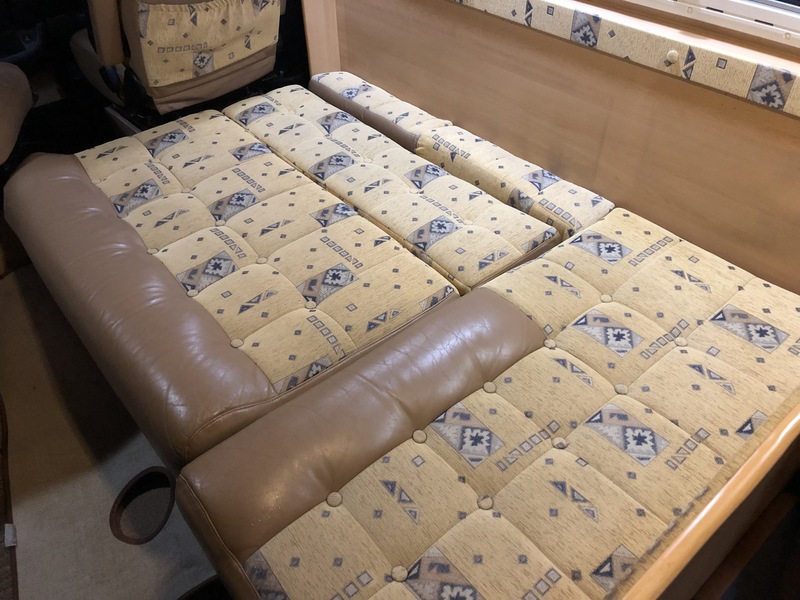 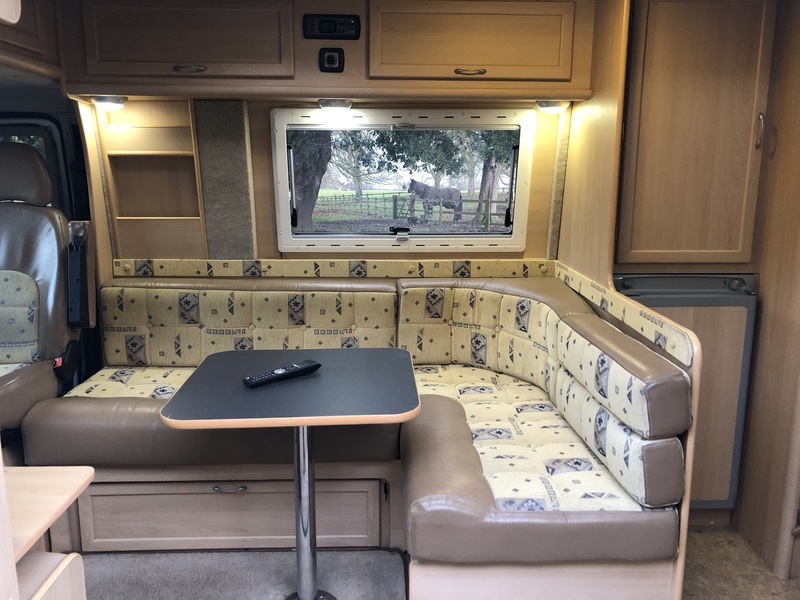 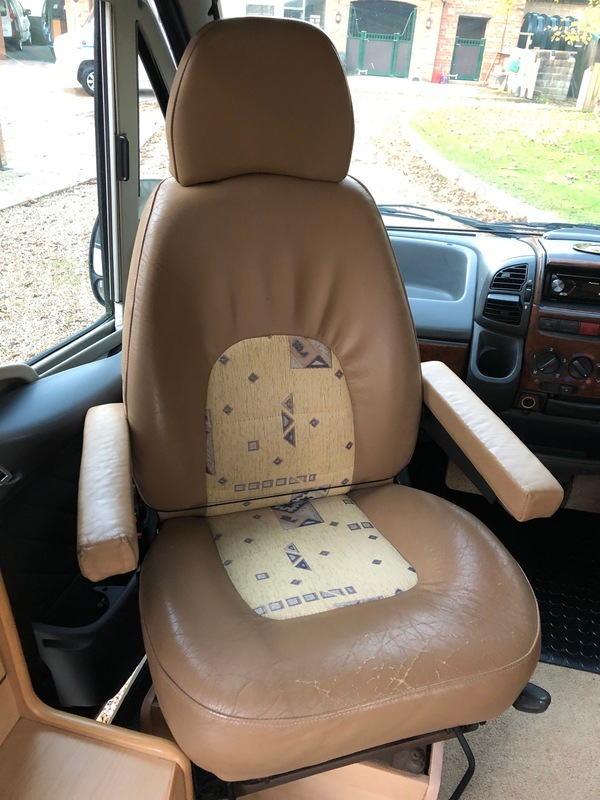 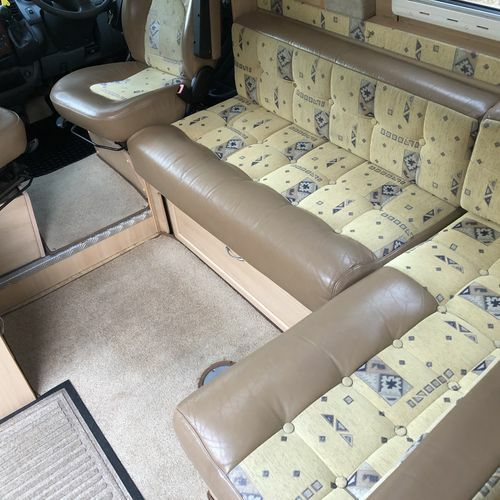 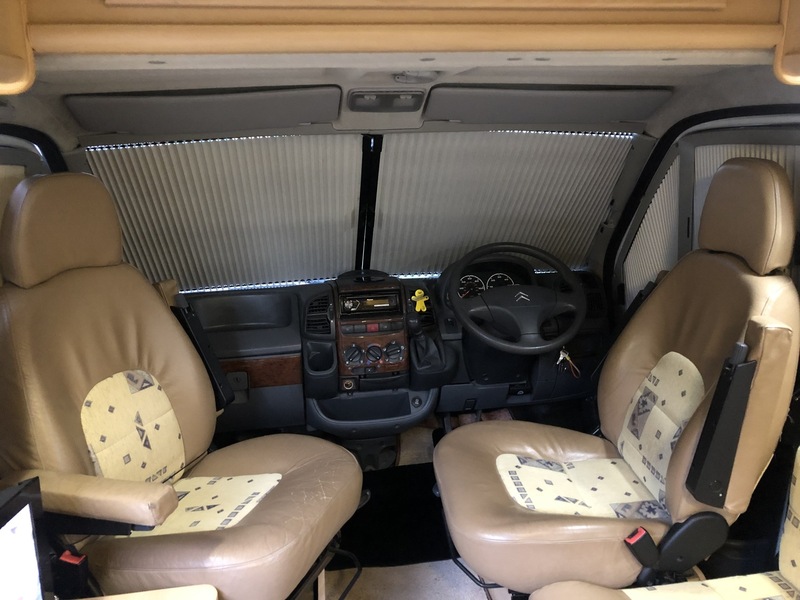 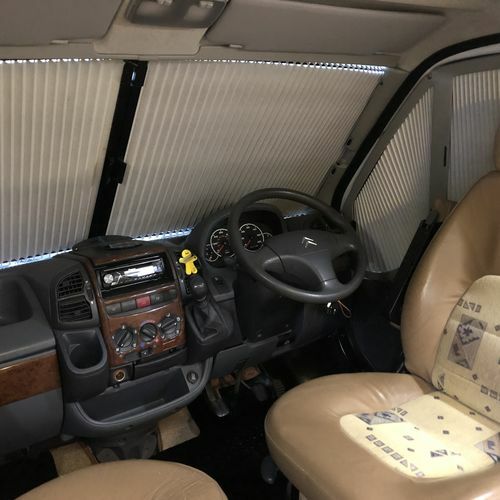 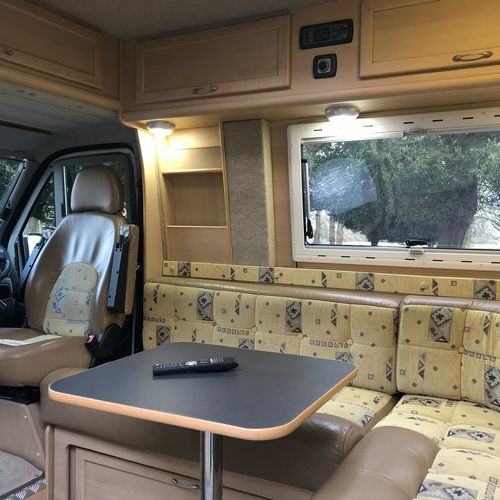 Difficult to pinpoint which company has carried out the conversion, it bears some striking similarities to an IH Motorhomes conversion (the lounge area and rear end design) however I'm not convinced that it is one of their conversions. 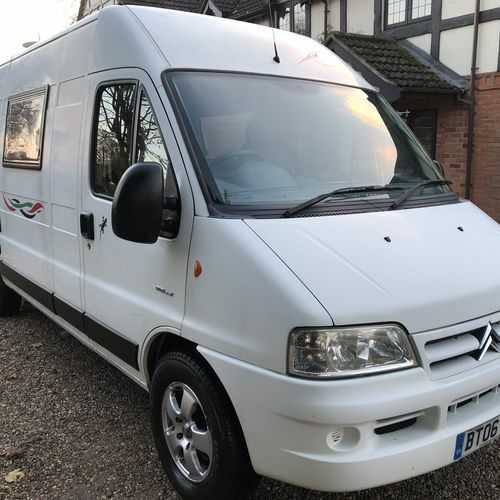 One thing for sure though, we get through a lot of camper vans and this is one stands out in the crowd! 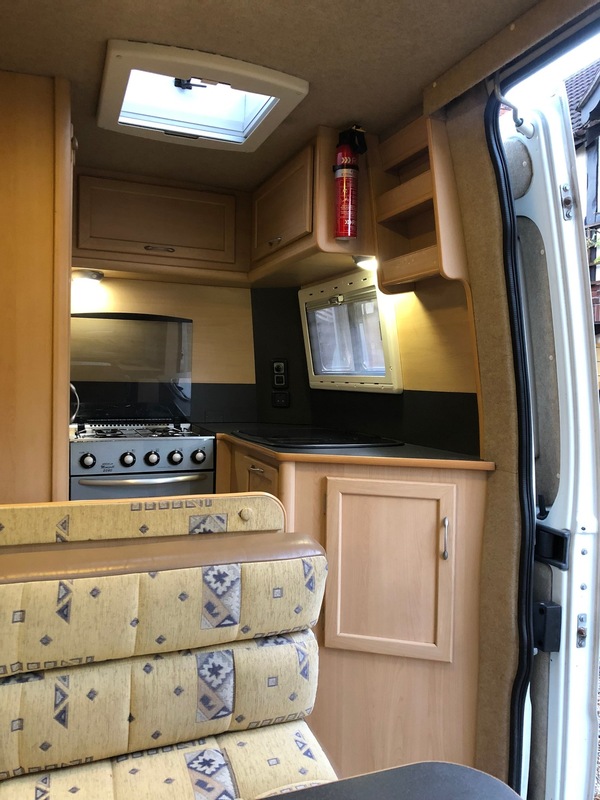 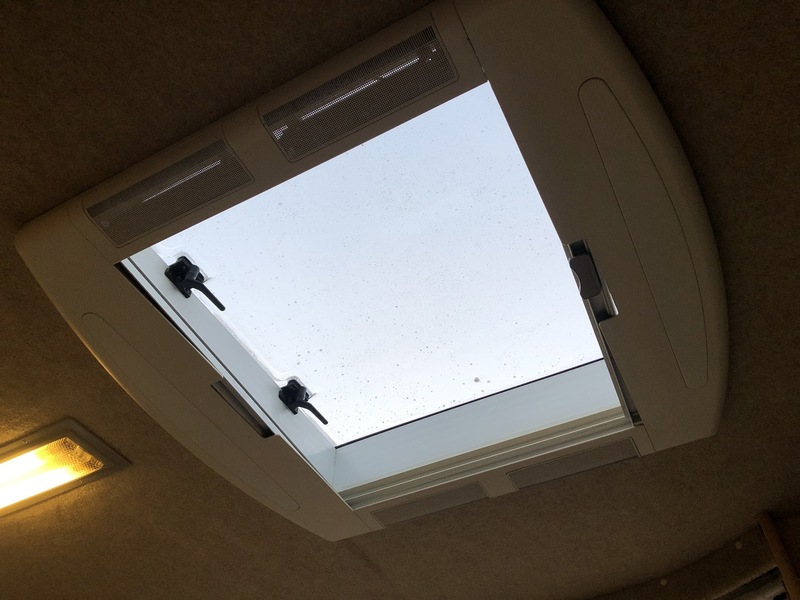 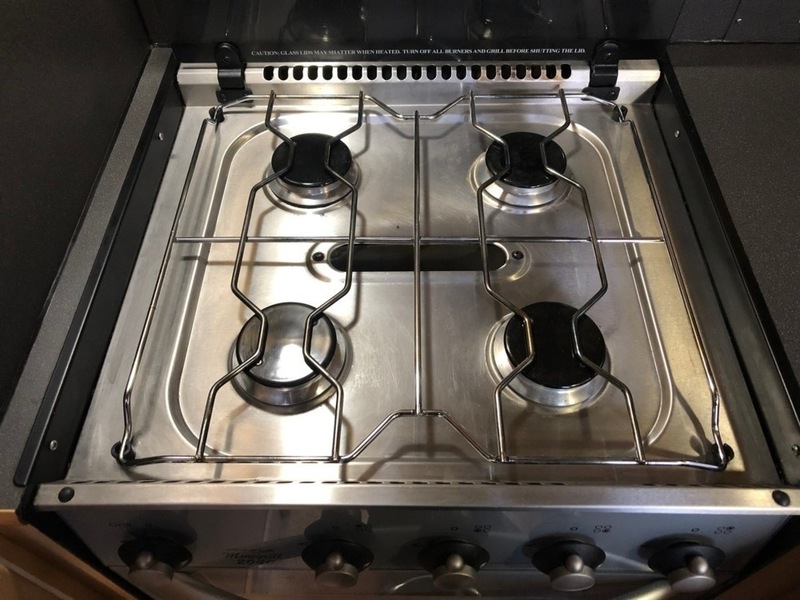 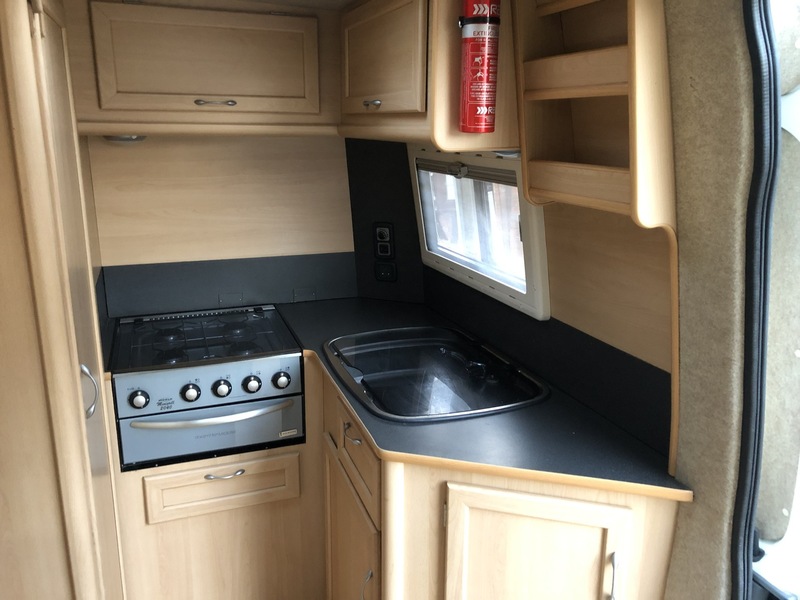 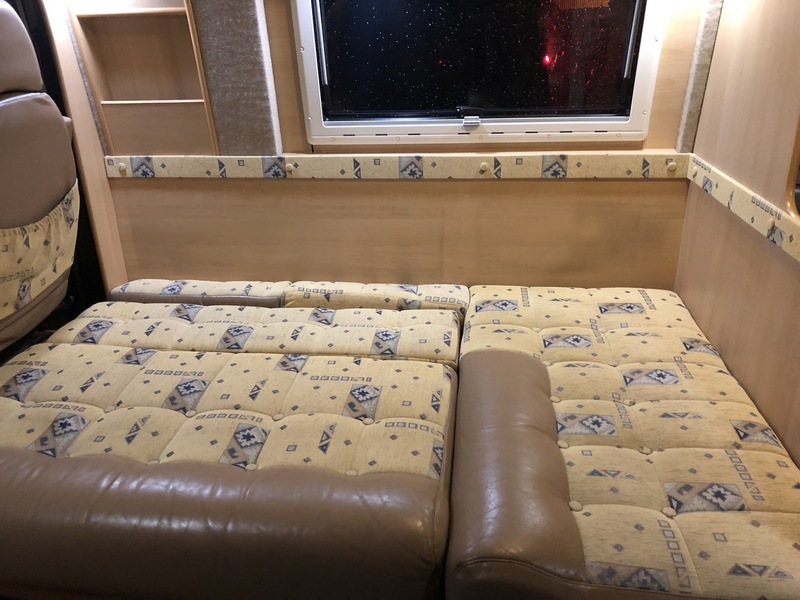 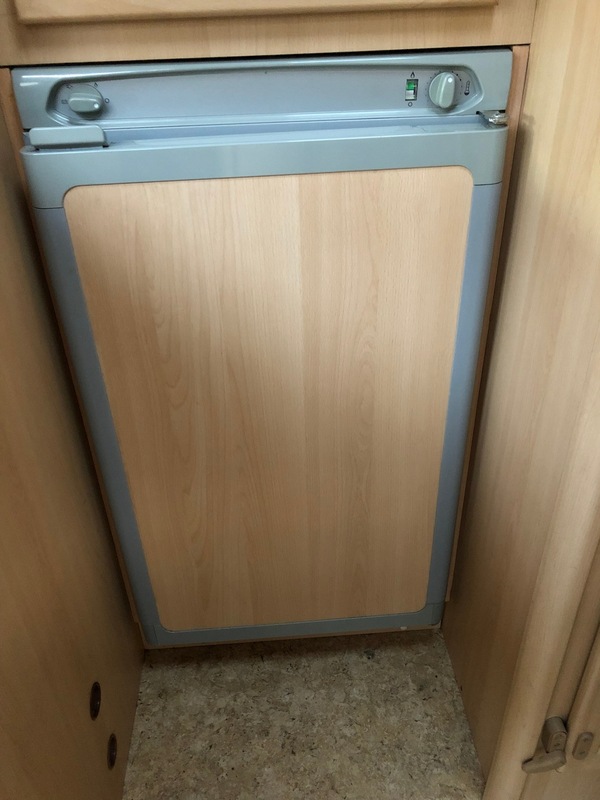 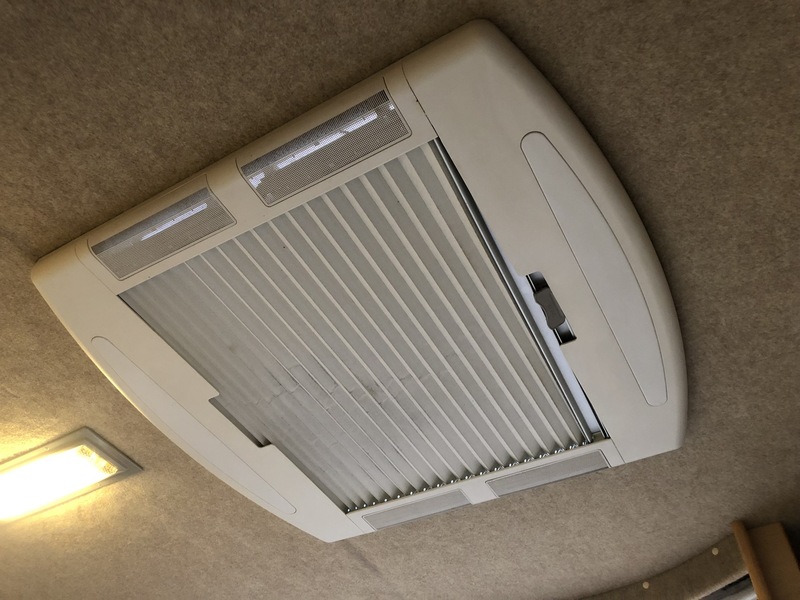 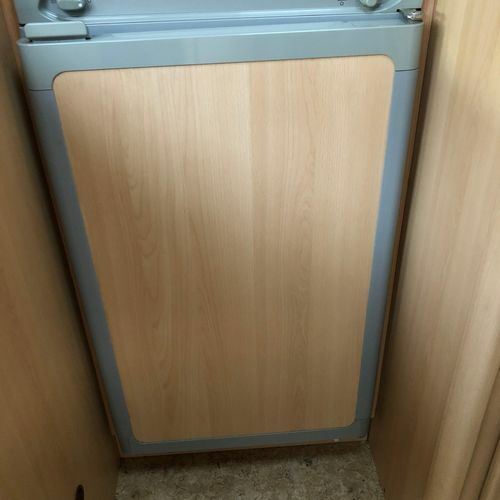 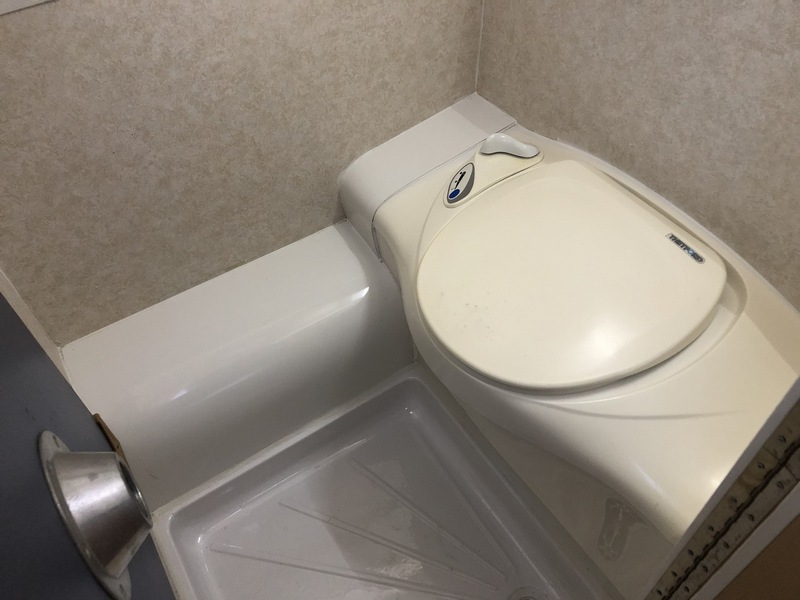 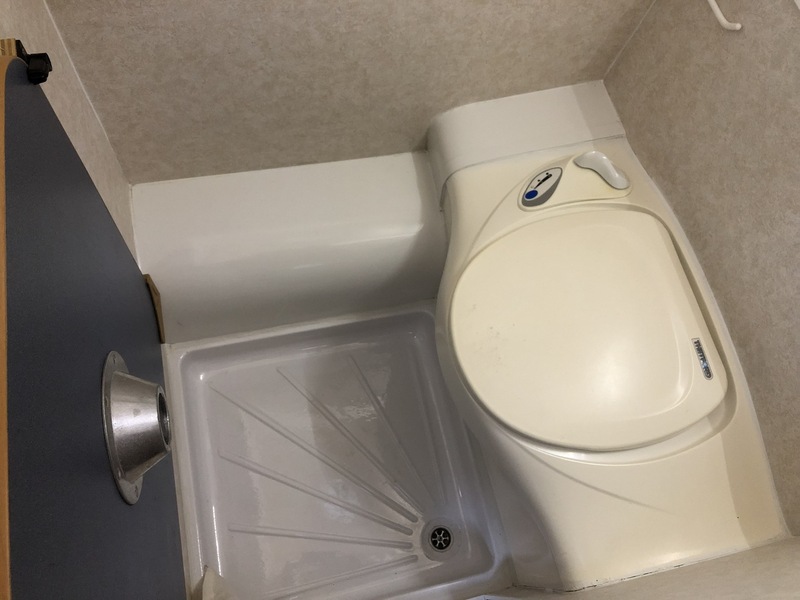 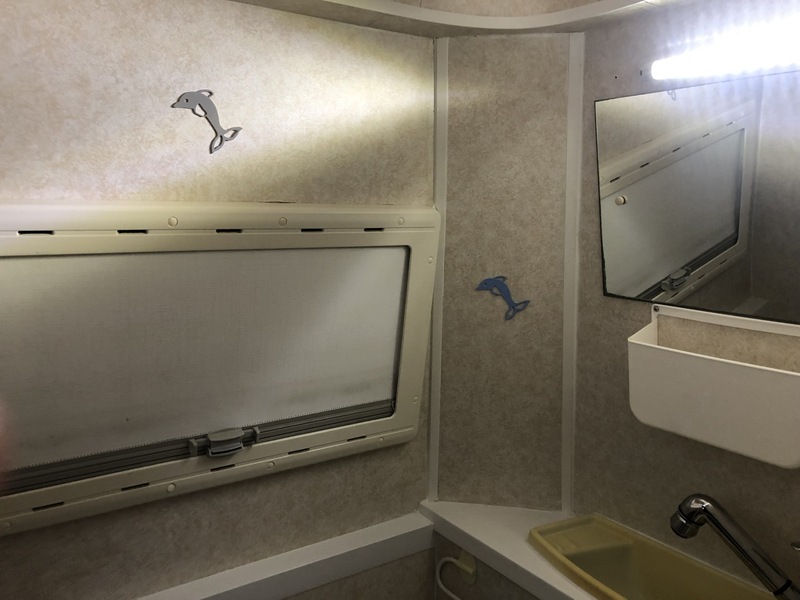 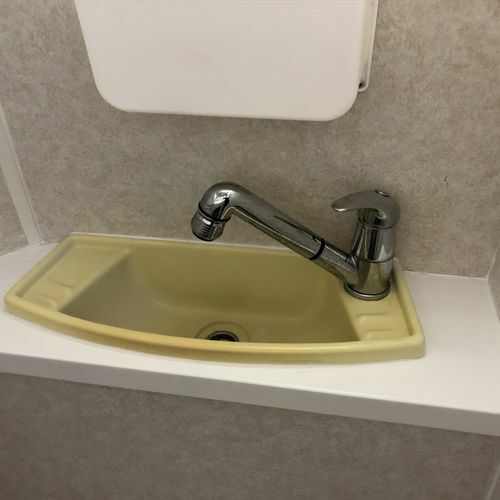 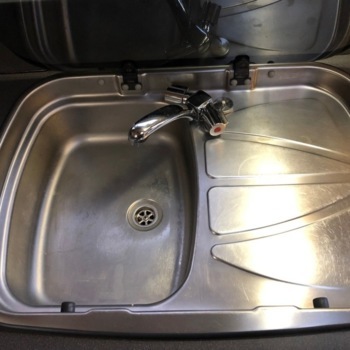 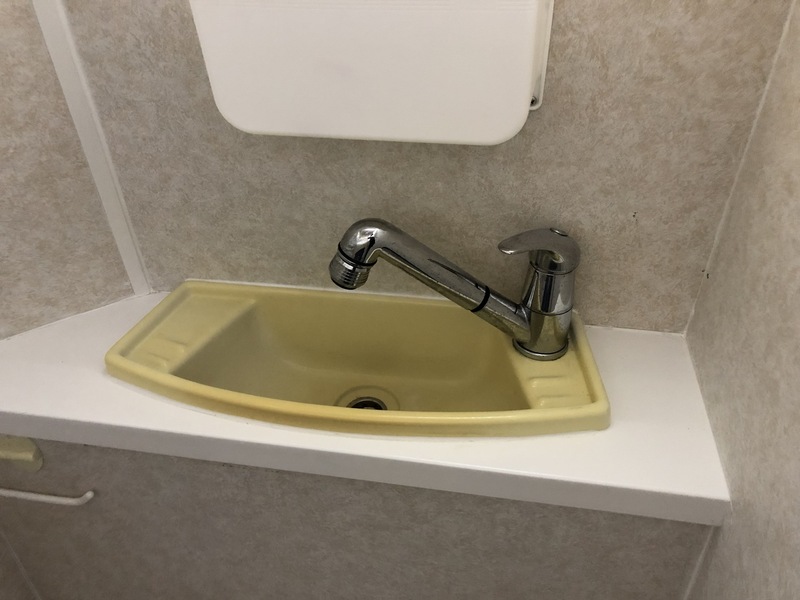 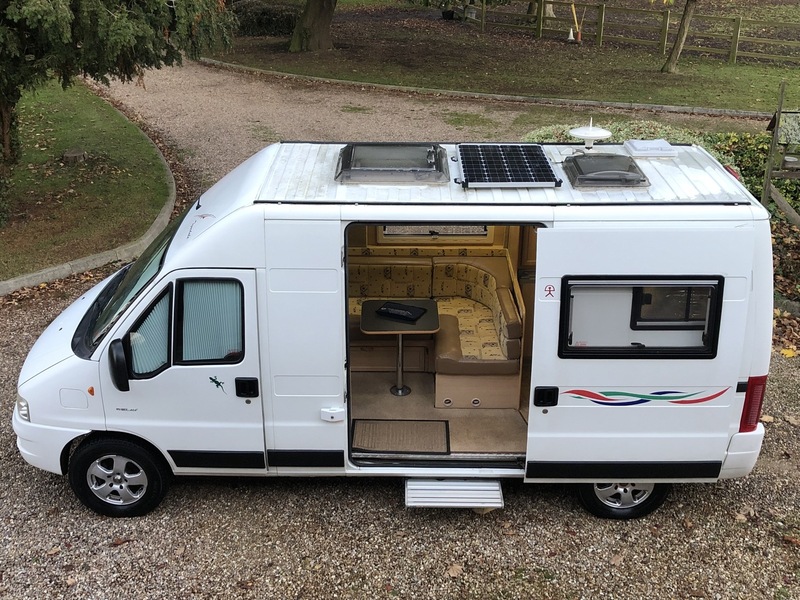 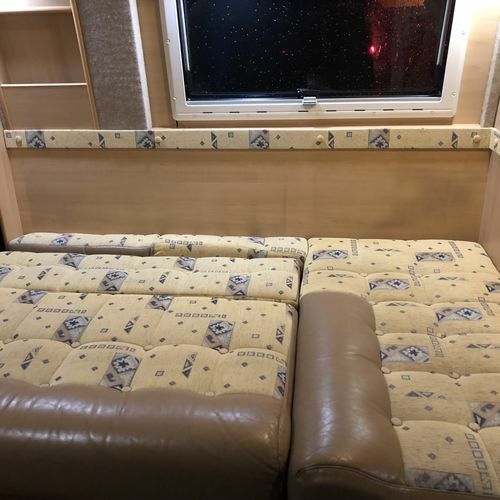 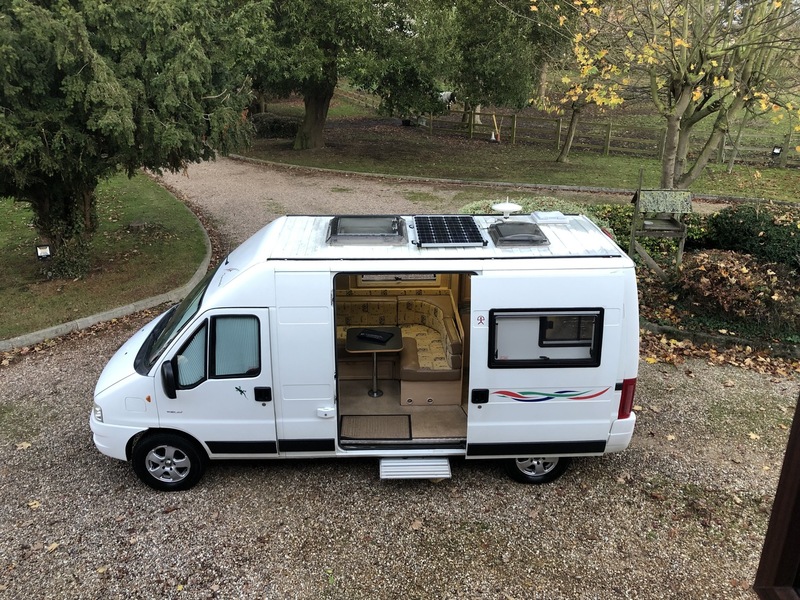 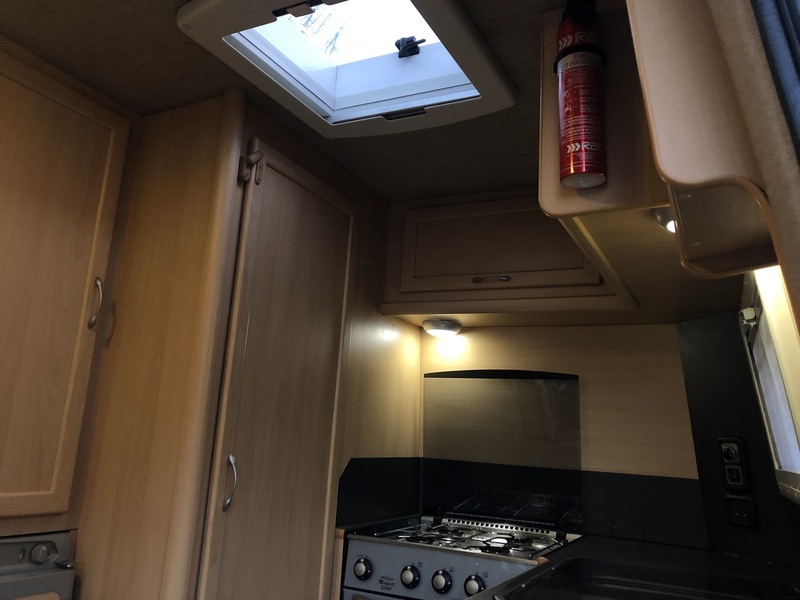 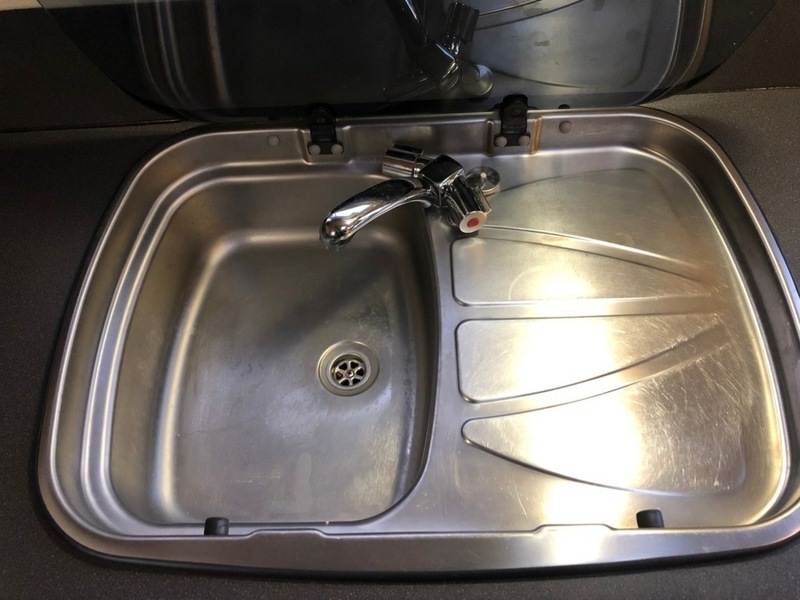 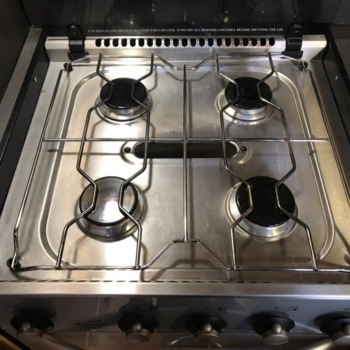 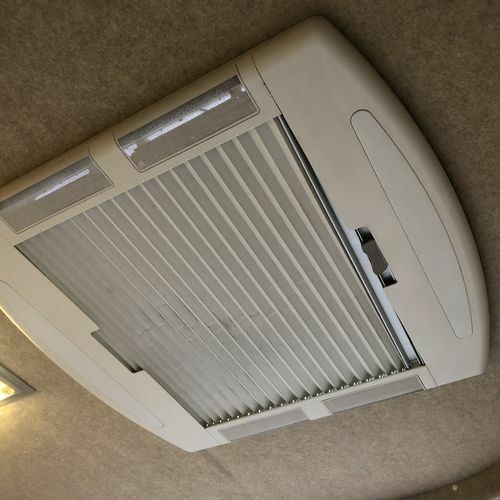 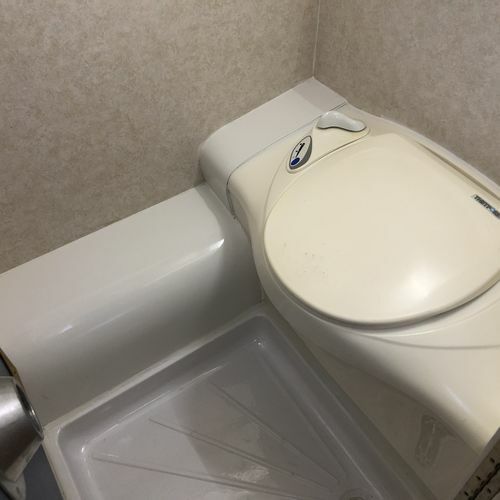 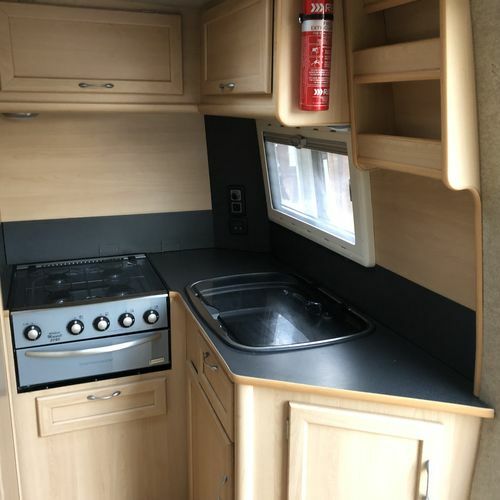 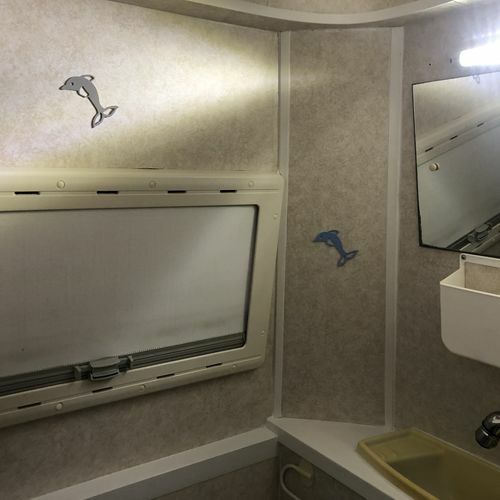 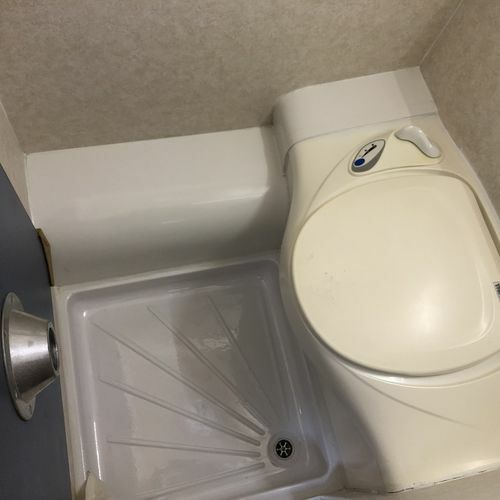 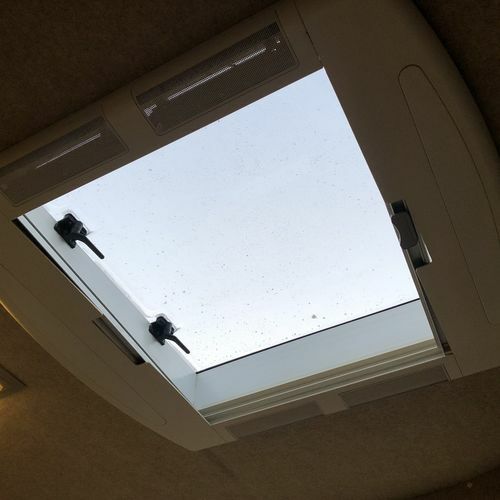 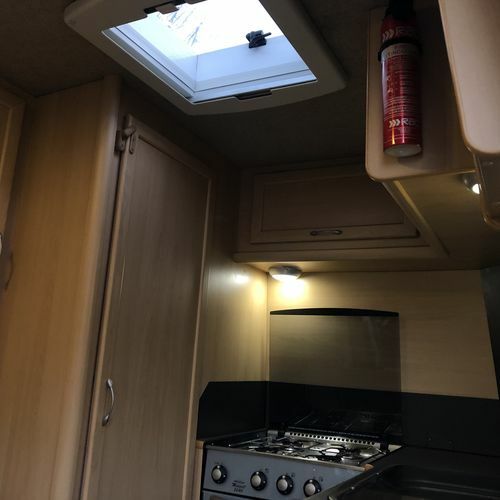 Specification to include: L shaped lounge that converts into double bed (184cms x 122cms), Thetford cassette toilet (19 litre), Shower with hot/cold water, Truma 240v/gas hot water system, 2 x captains chairs that swivel, Truma E200 gas blown air heating, 100w roof mounted solar panel, leisure battery, CBE PC100 control panel, split charger, 4 ring gas hob, gas grill, kitchen sink with drainer and hot/cold water, Digital TV (12v/240v), roof mounted Status TV aerial, Omnistor 12v motorised step, fresh water tank, waste water tank, Thetford 3 way fridge, double glazed windows with fly screens and blinds, removable carpets, island leg table, front cab windows have built in concertina blinds, loads of storage including high level lockers, wardrobe, digital safe, CD player with bluetooth, rooflights, 12v LED lighting, electric windows, remote central locking, electric mirrors. 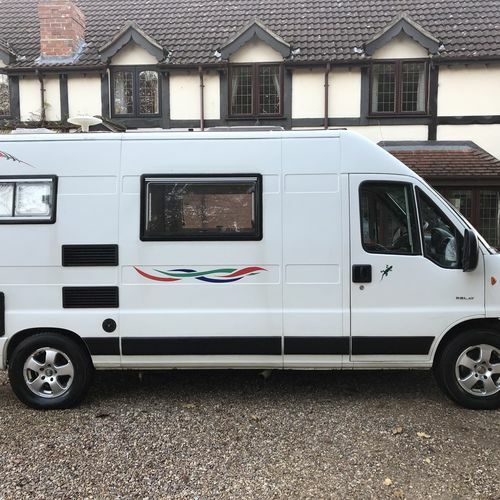 Once sold we will have our workshop carry out a fresh new 12m MOT. 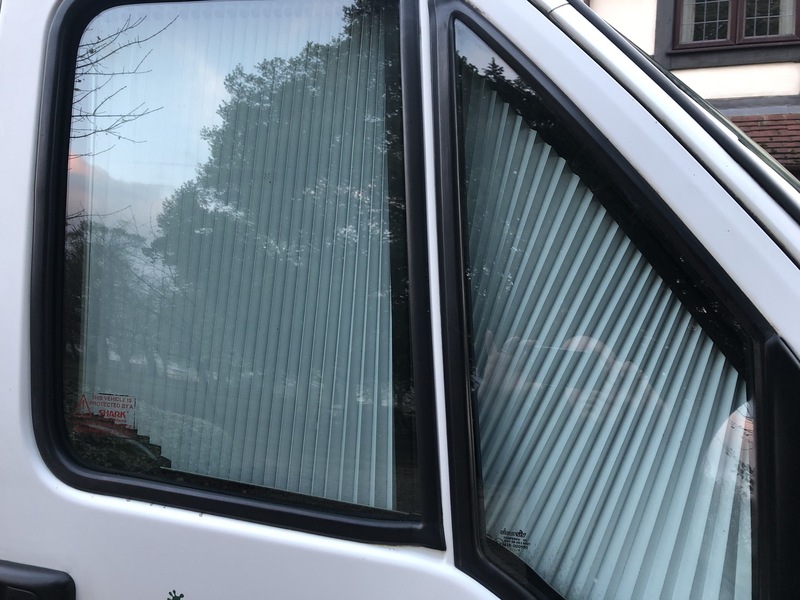 Alloy wheels have some wear and tear, will look at having them refurbished. 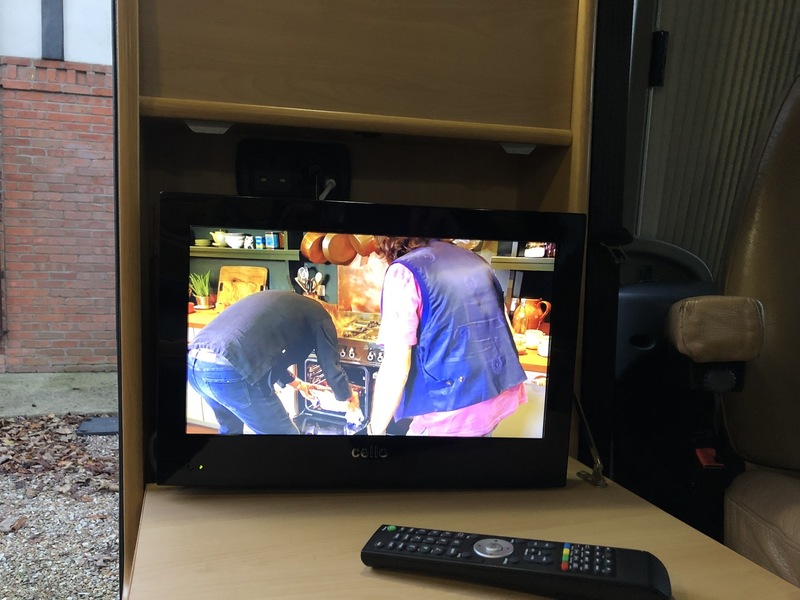 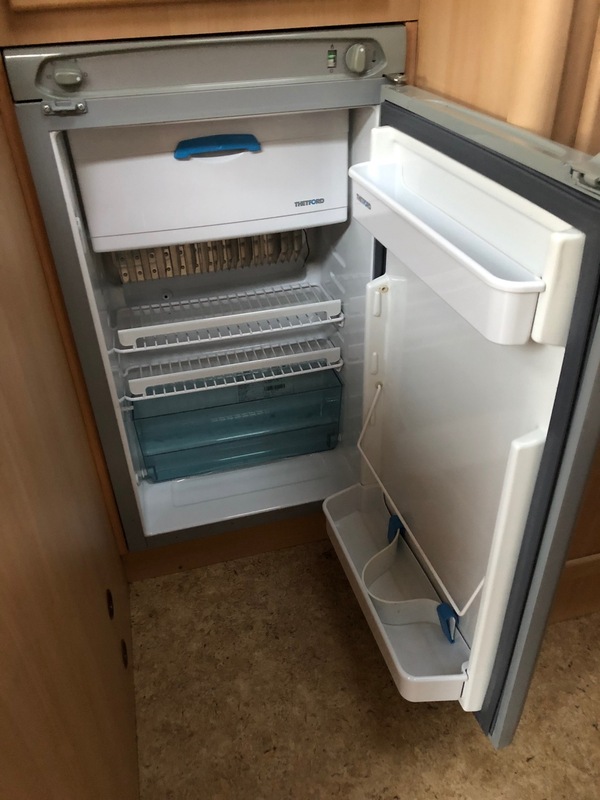 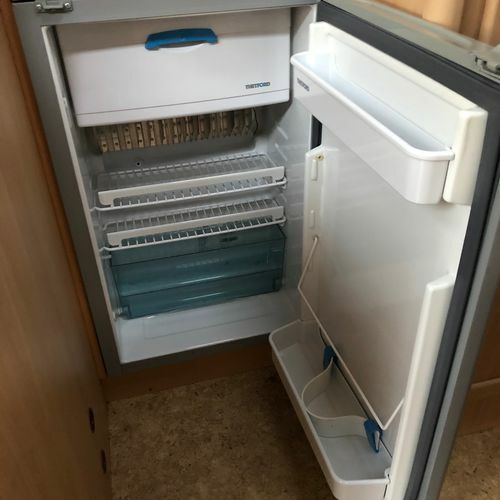 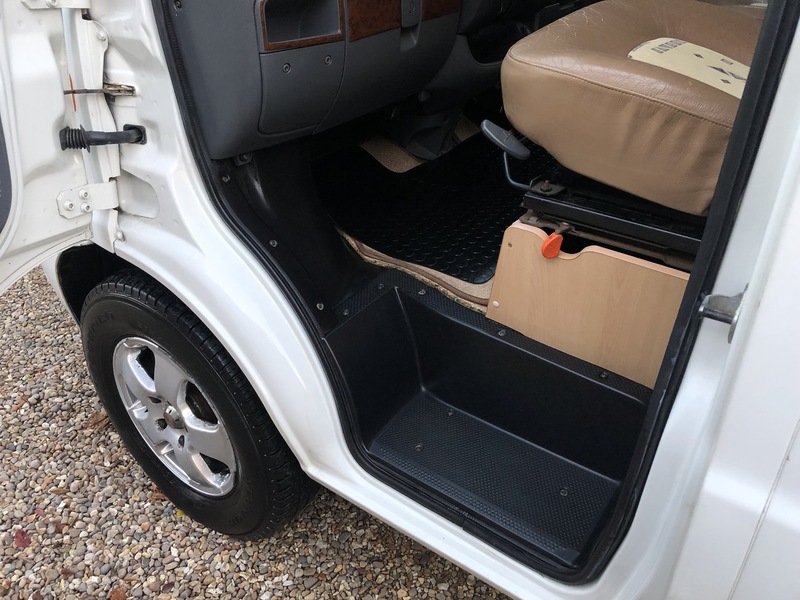 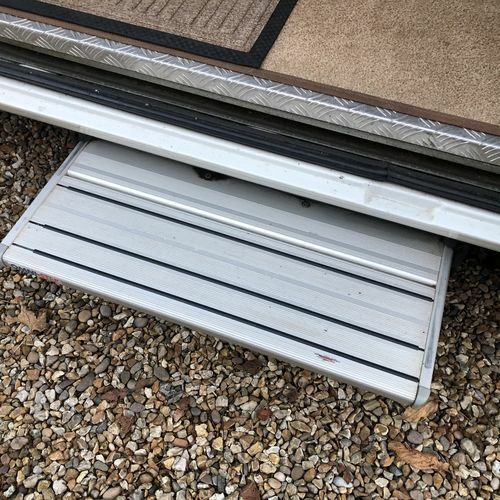 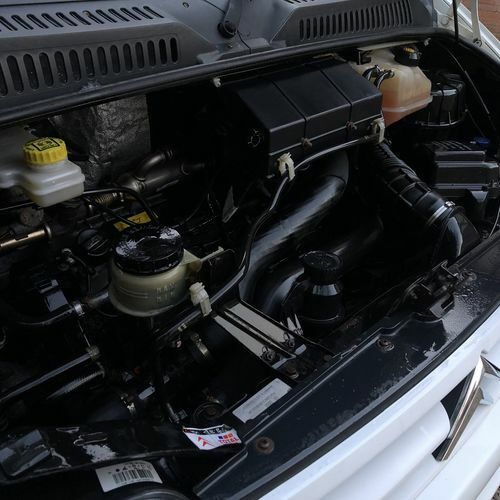 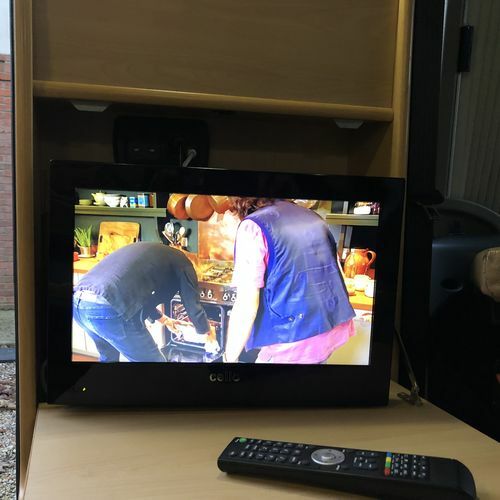 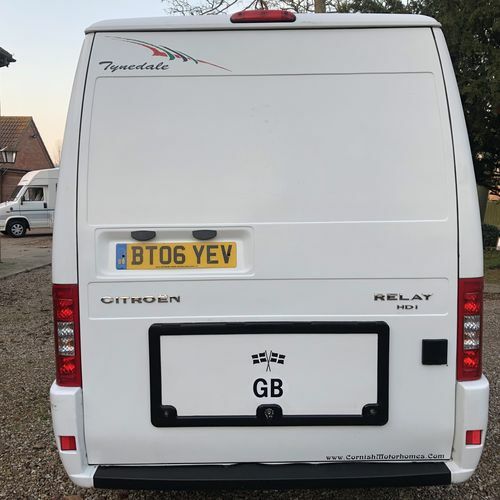 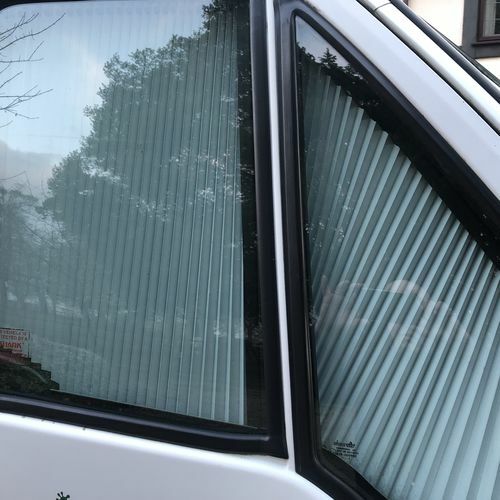 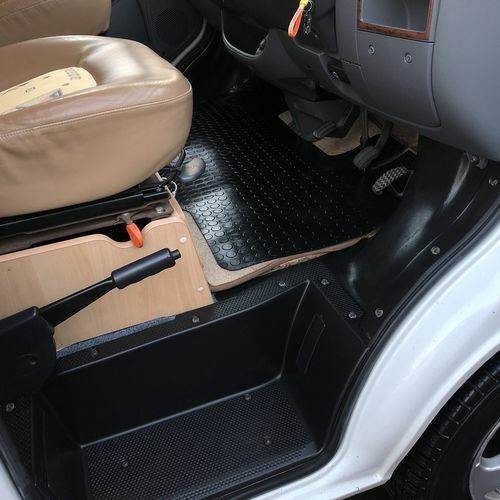 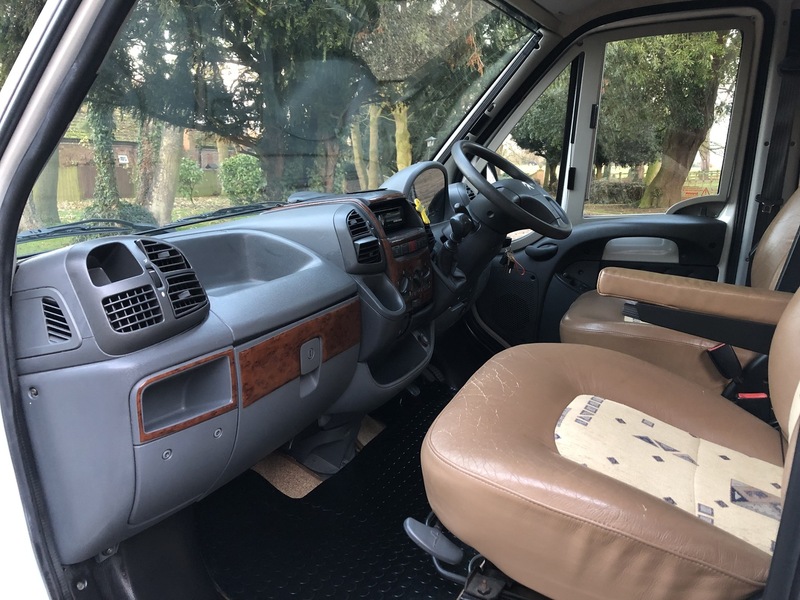 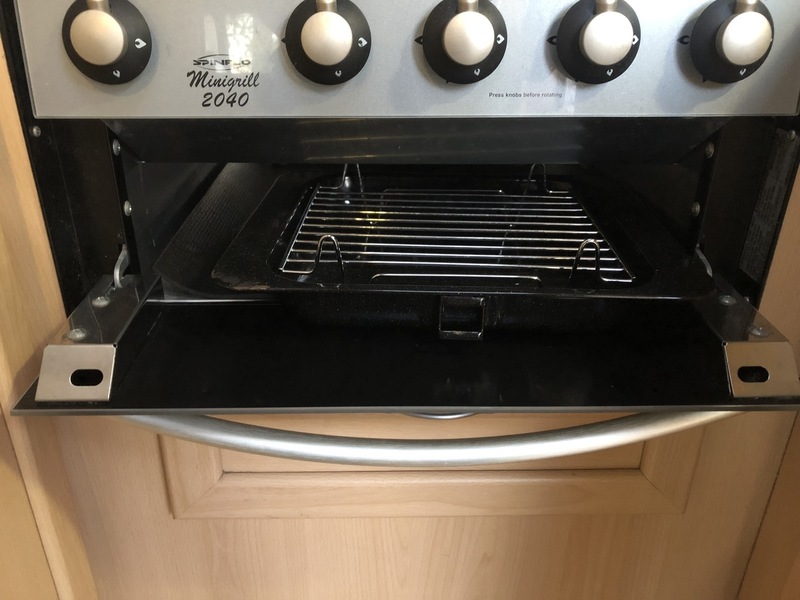 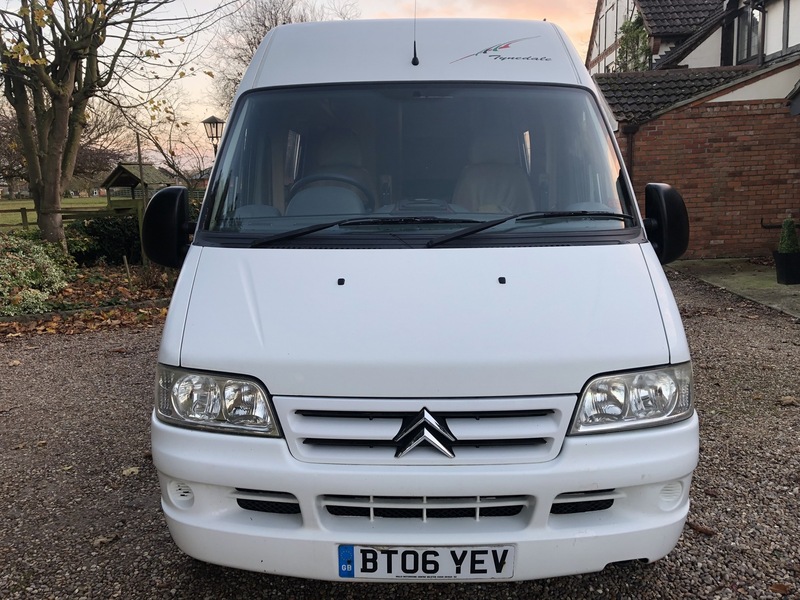 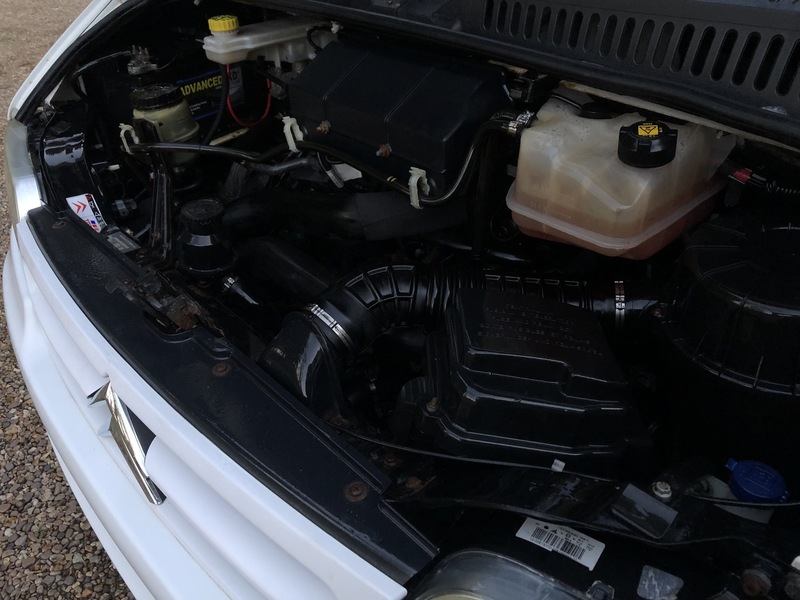 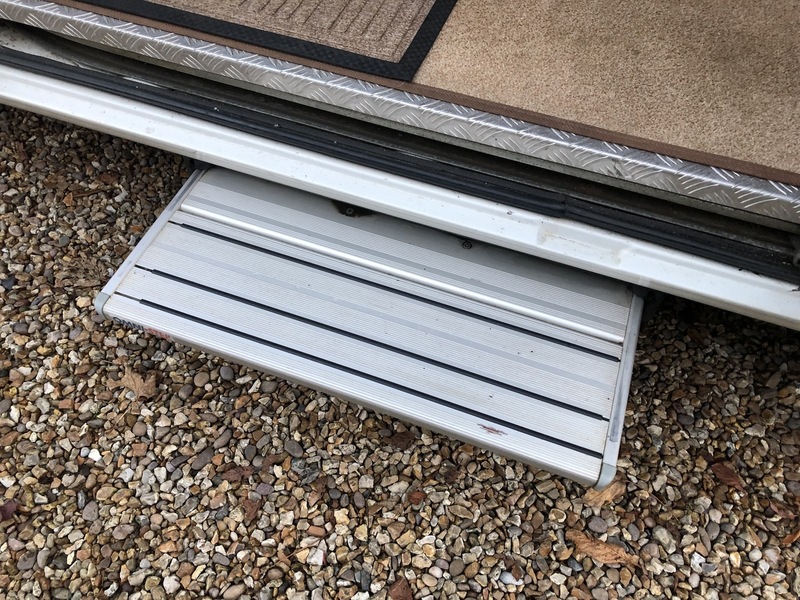 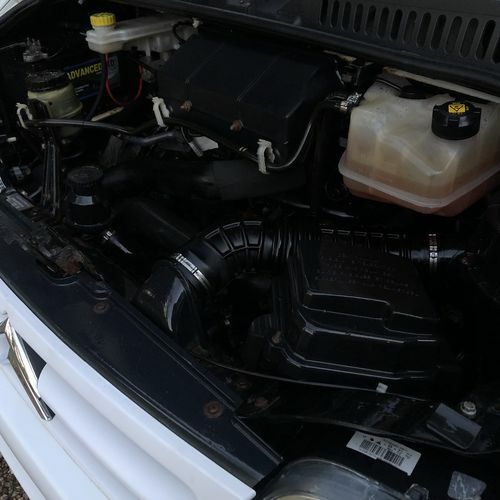 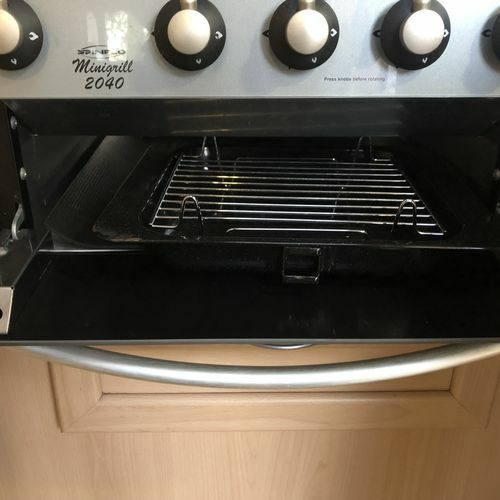 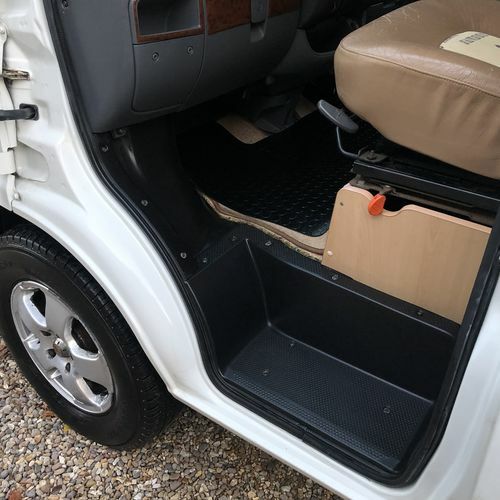 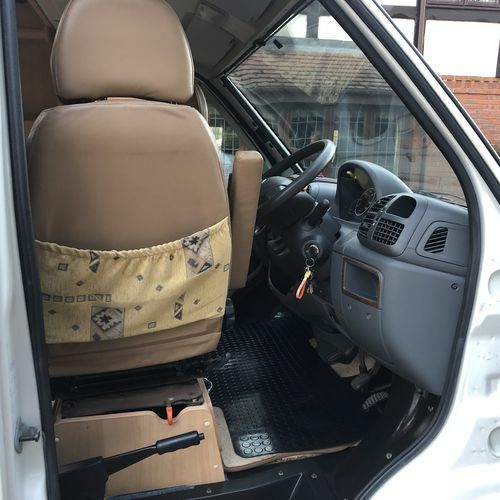 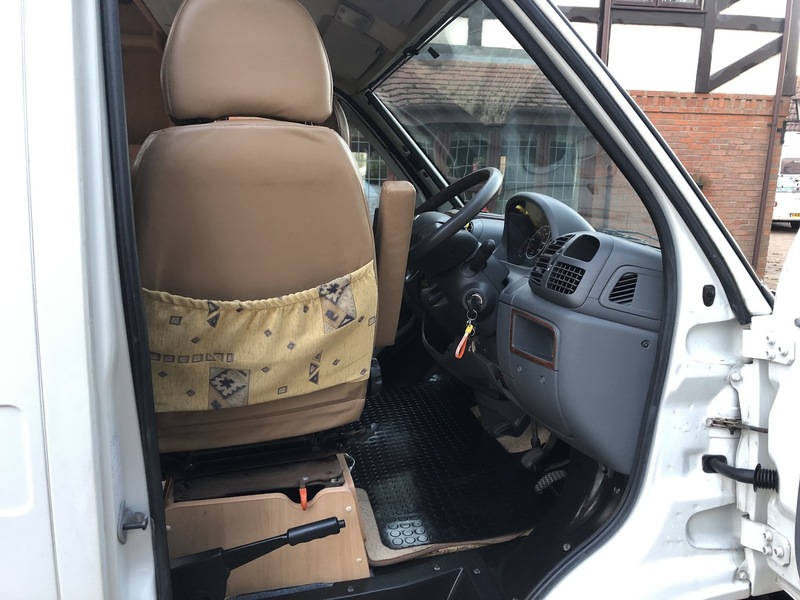 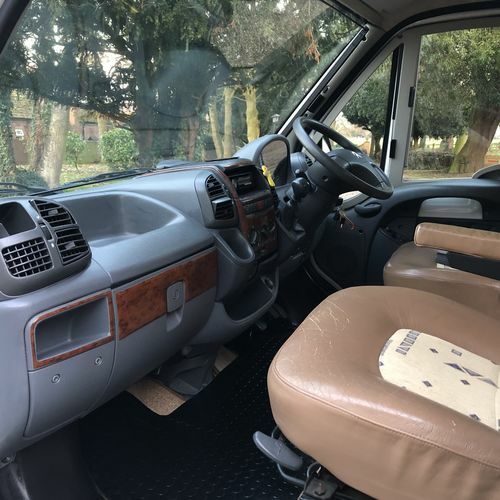 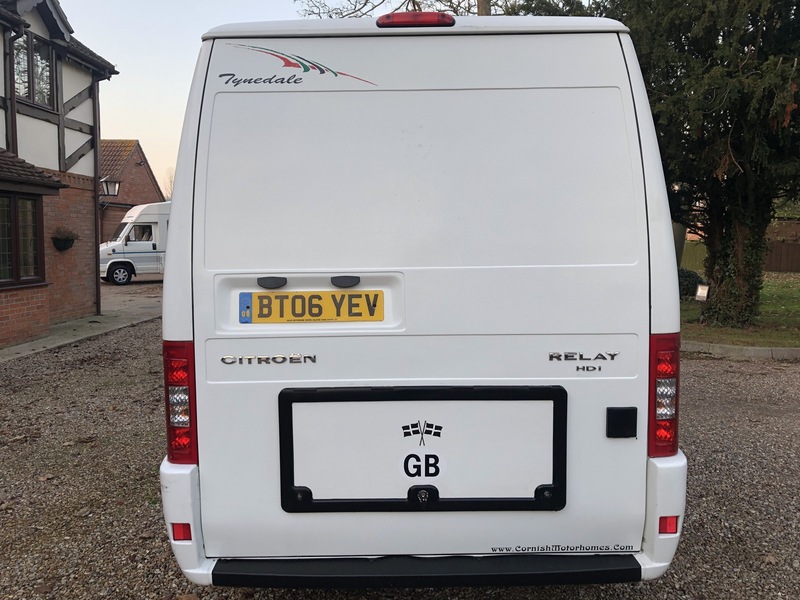 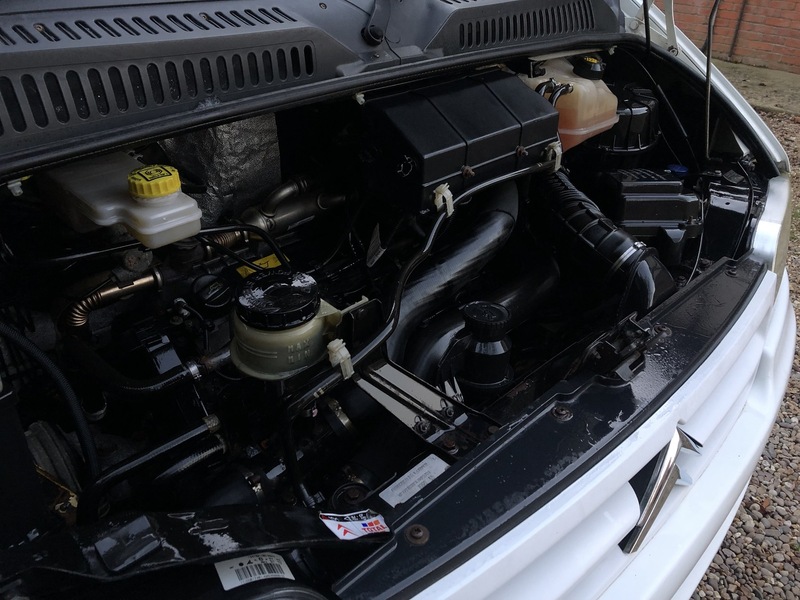 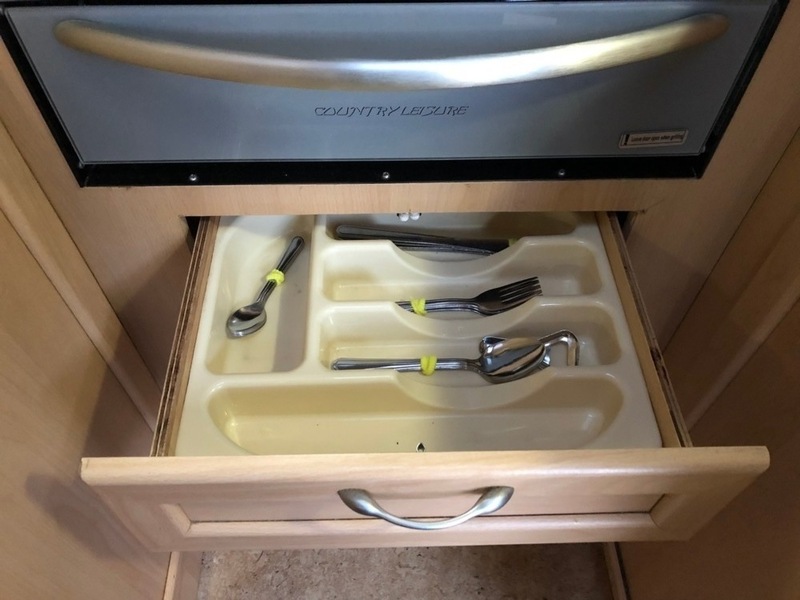 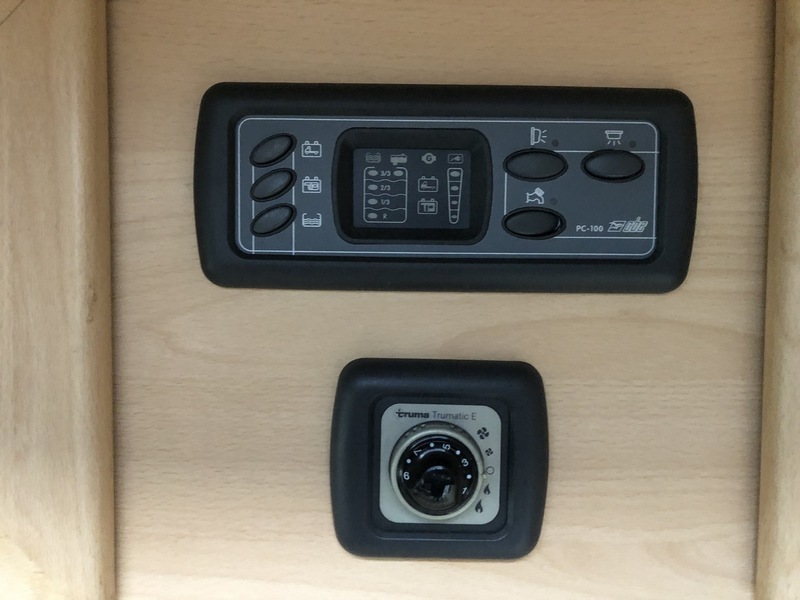 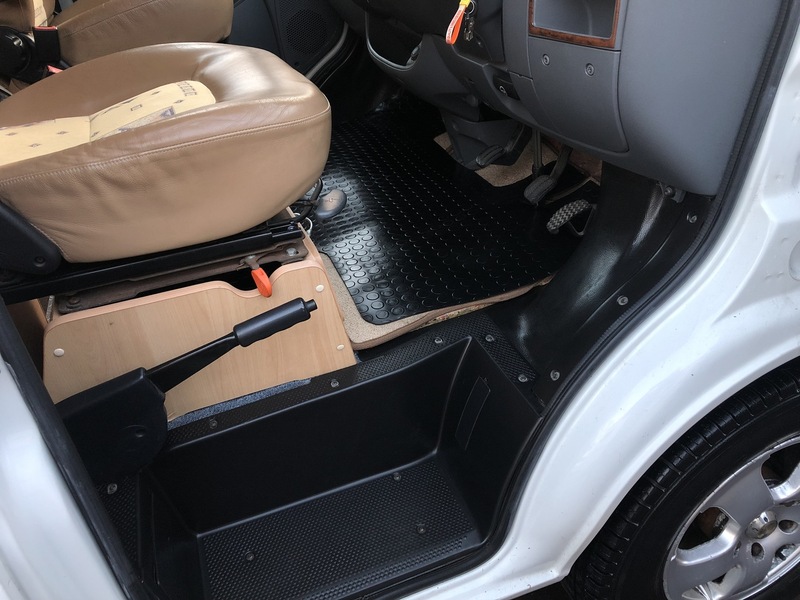 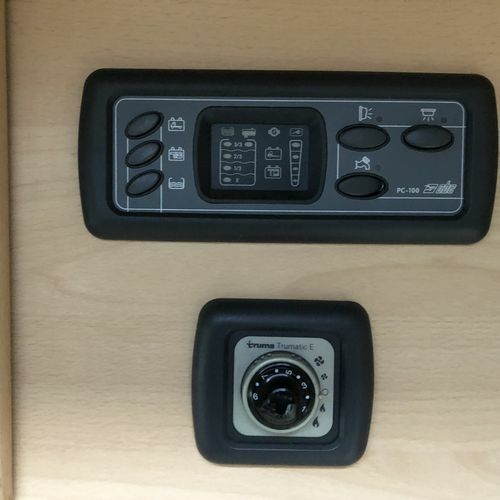 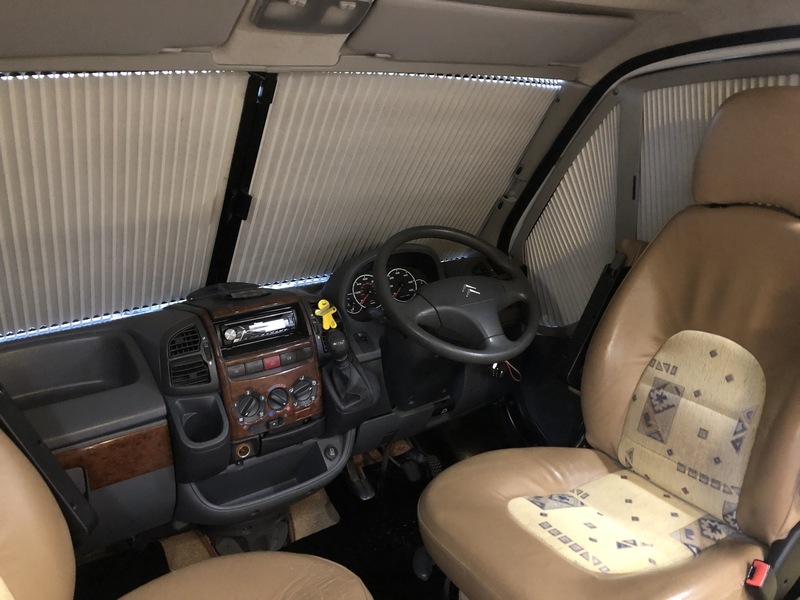 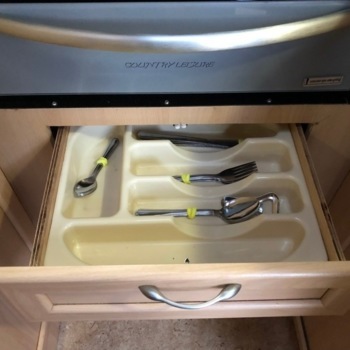 The vehicle comes with 2 x sets of keys, lots of paperwork, old MOT's, service invoices, service history booklet (excellent service history) and handbooks for all appliances/heating etc.